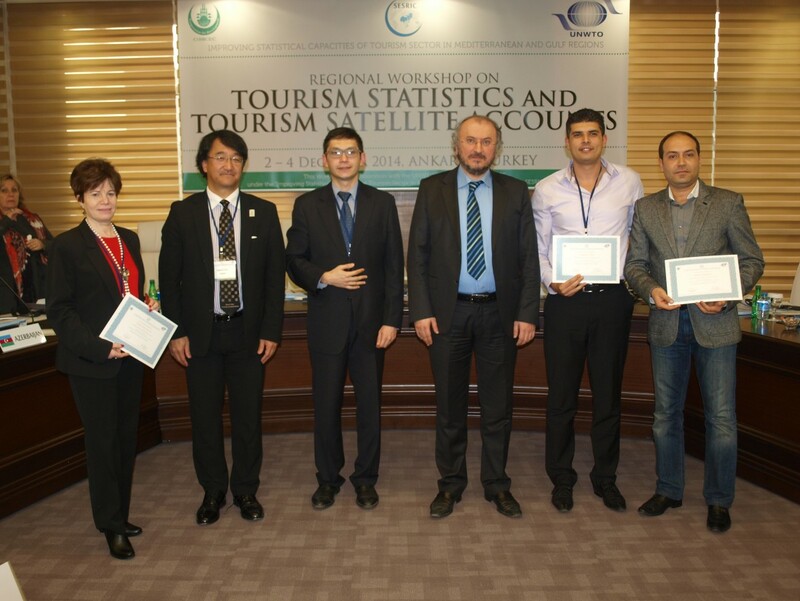 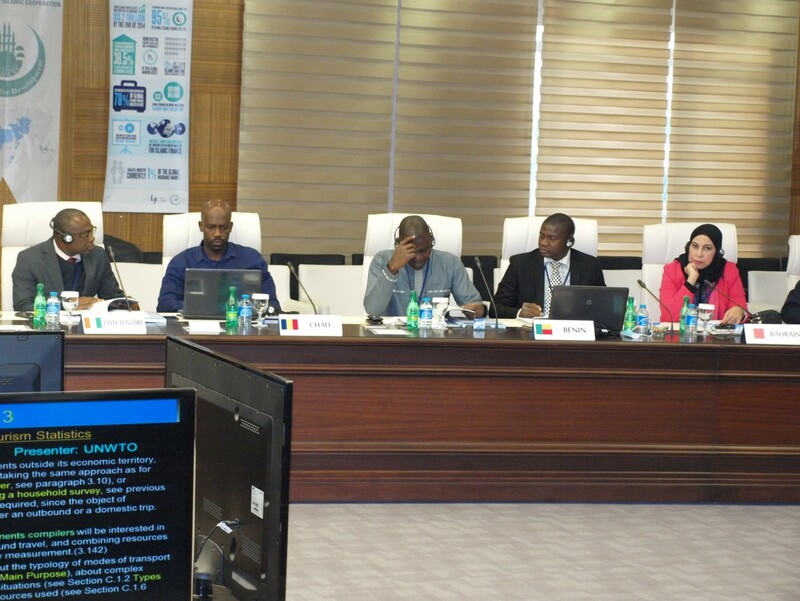 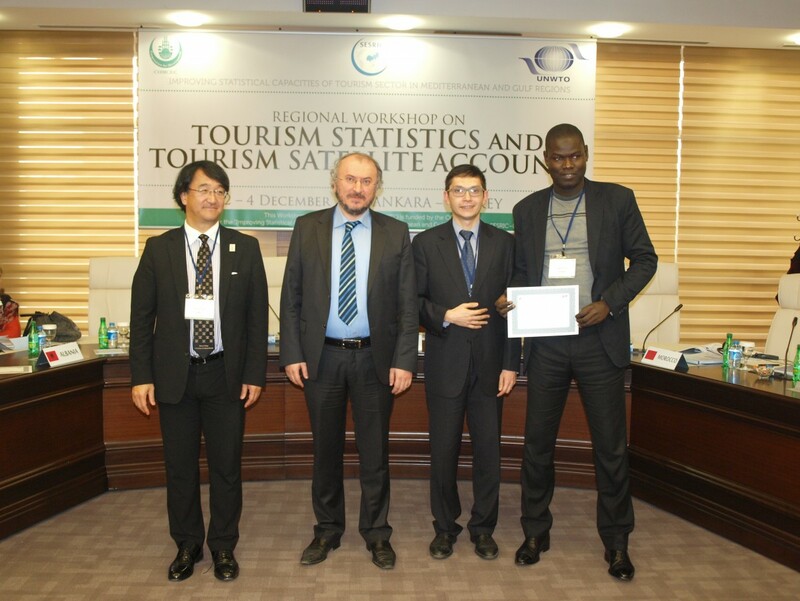 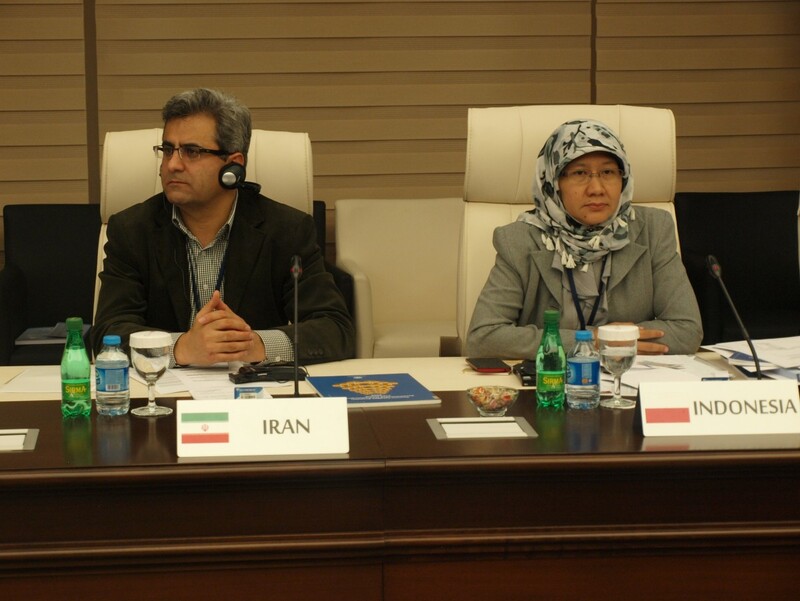 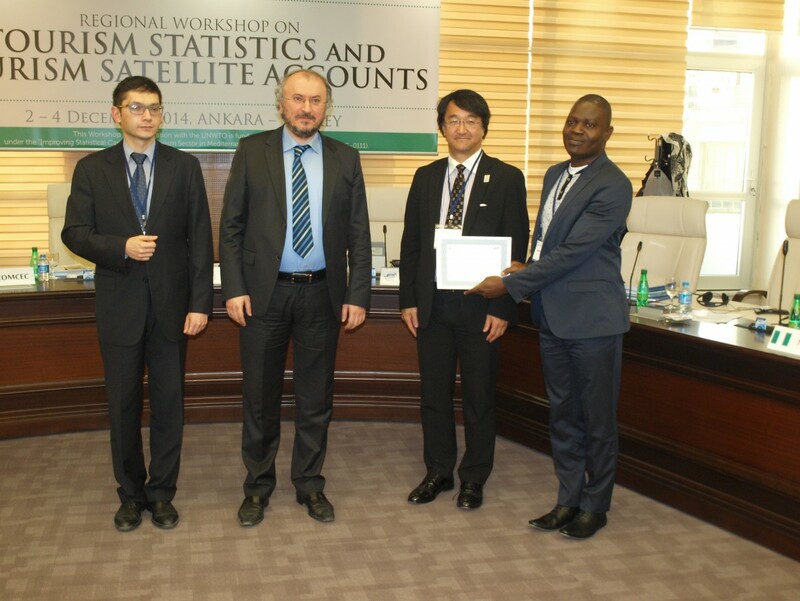 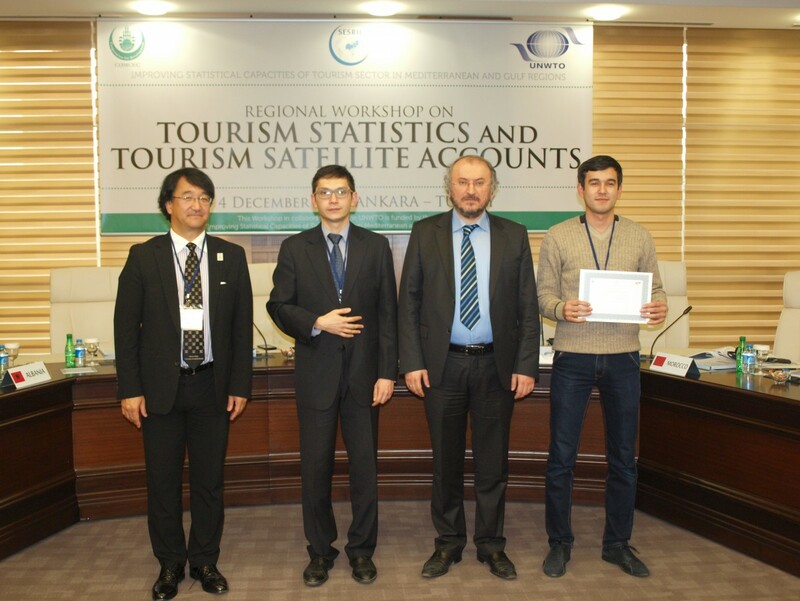 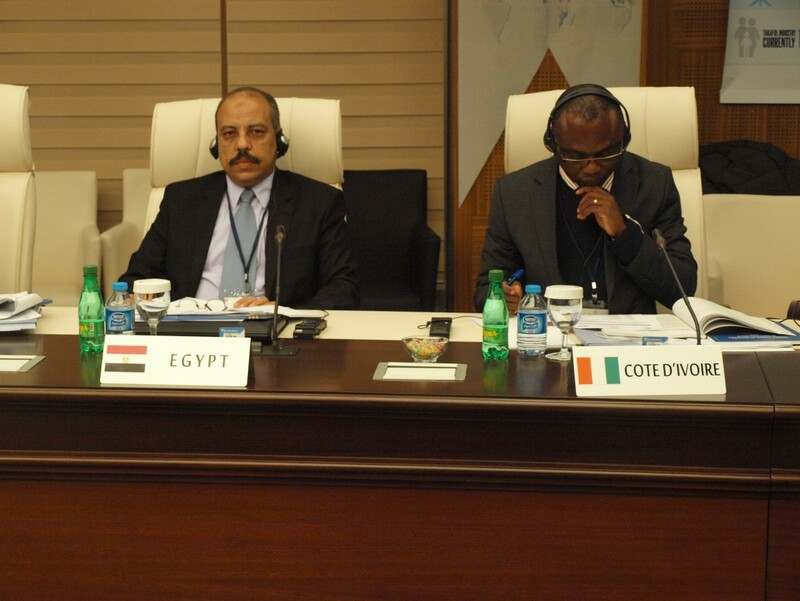 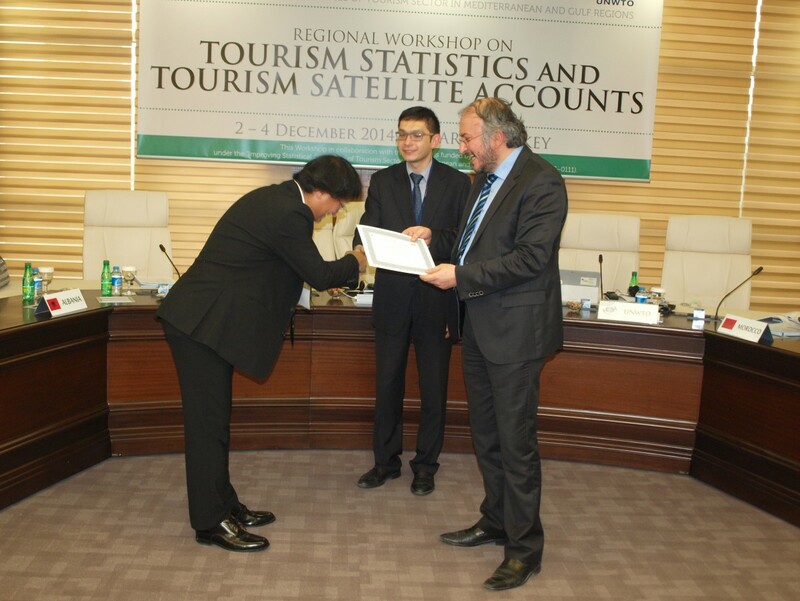 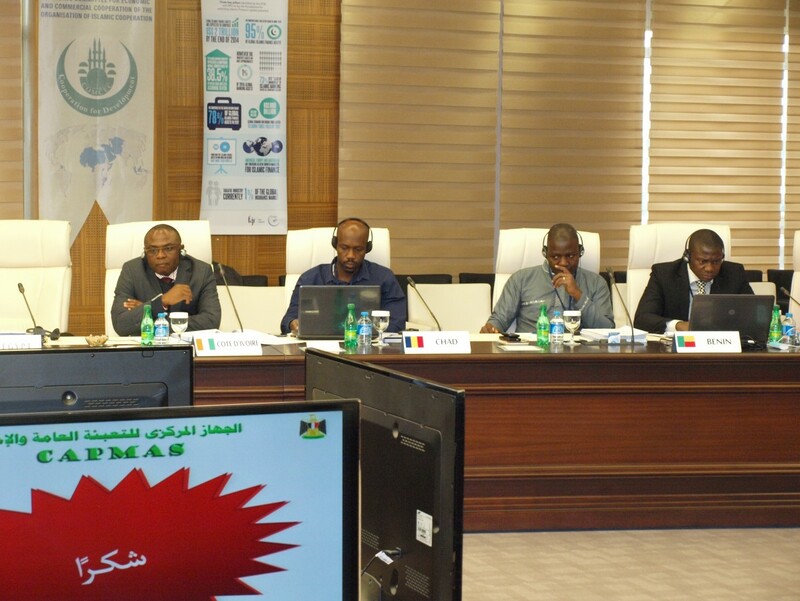 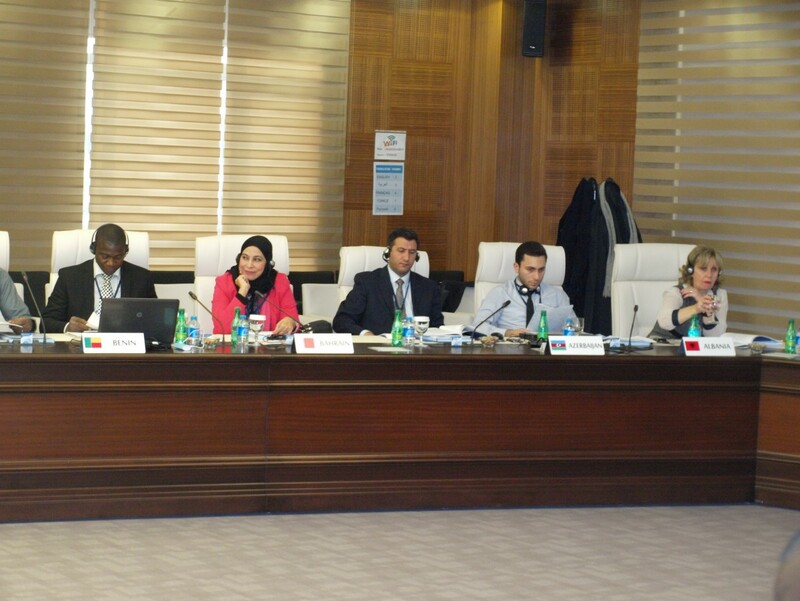 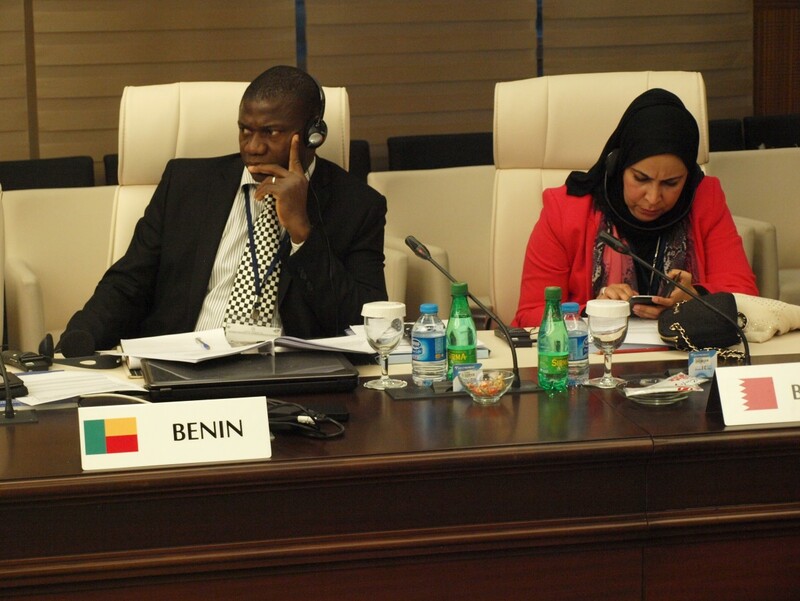 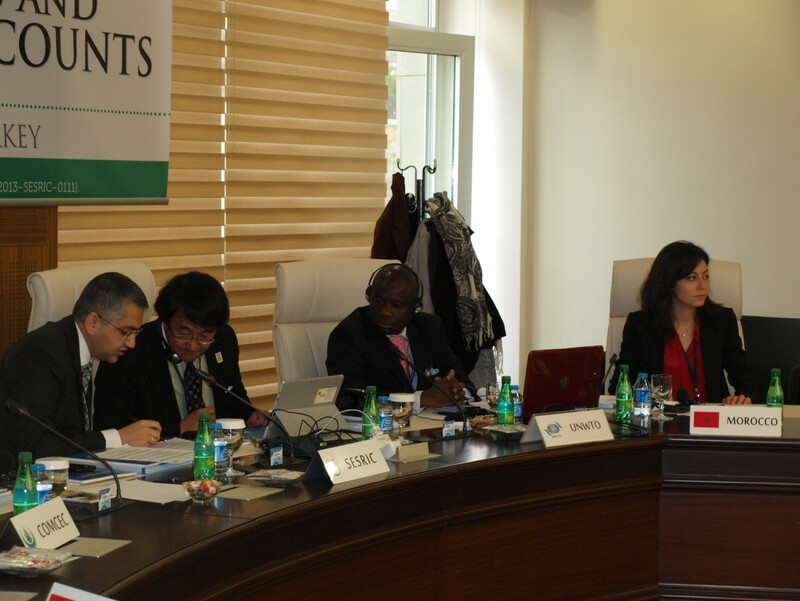 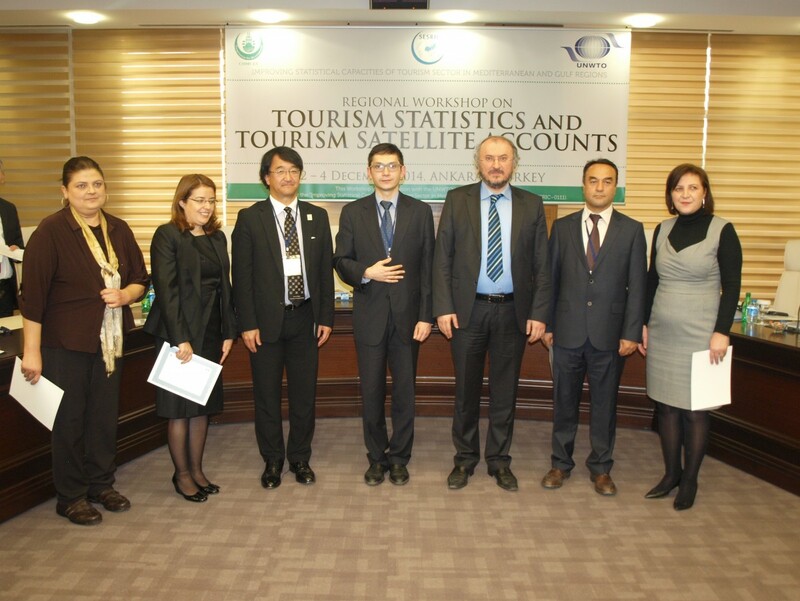 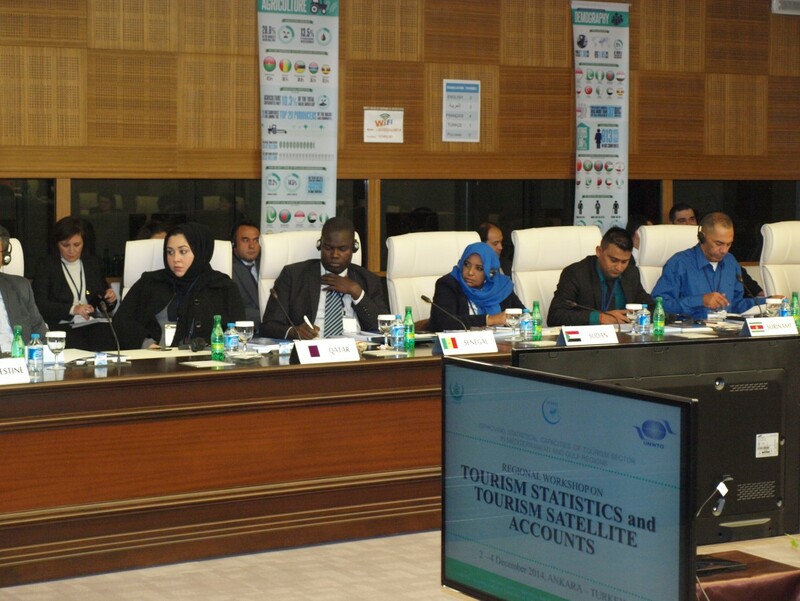 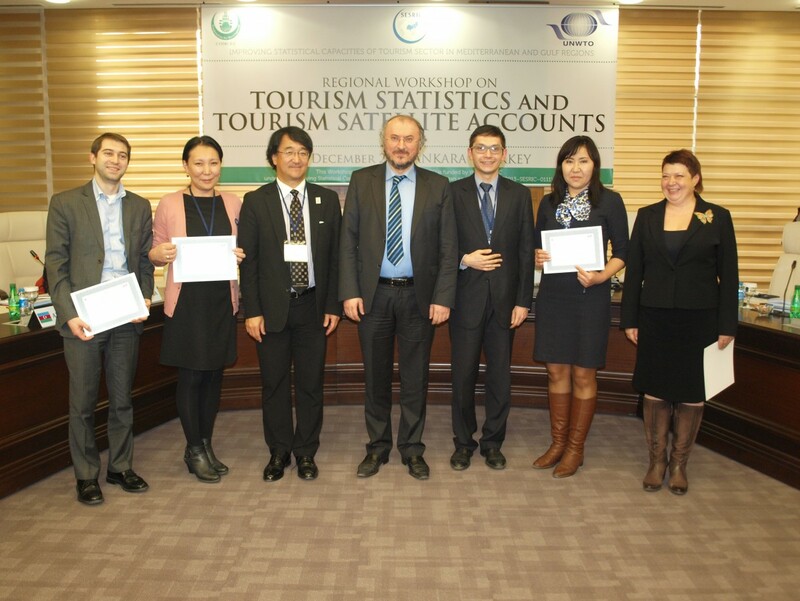 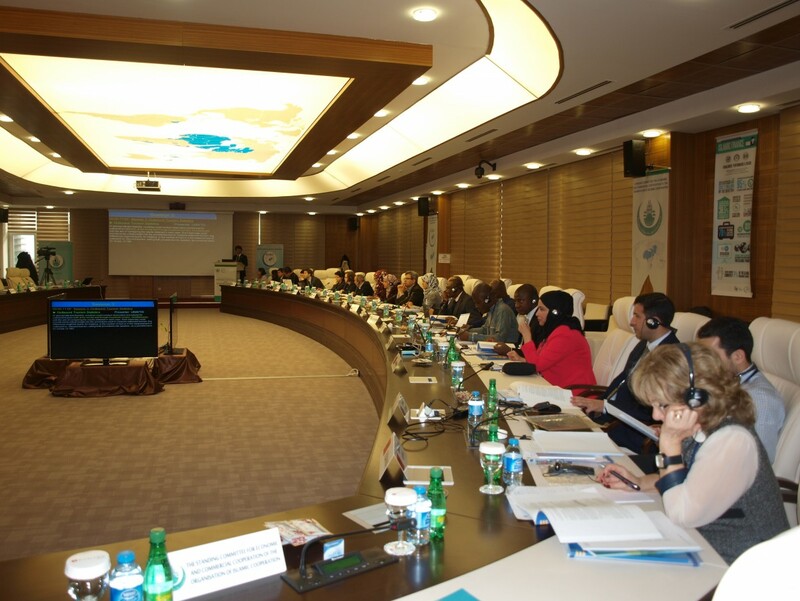 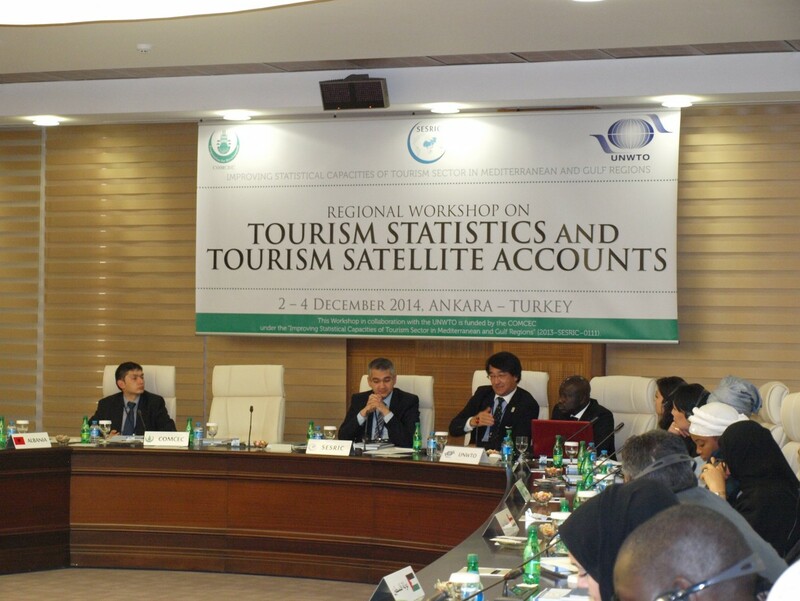 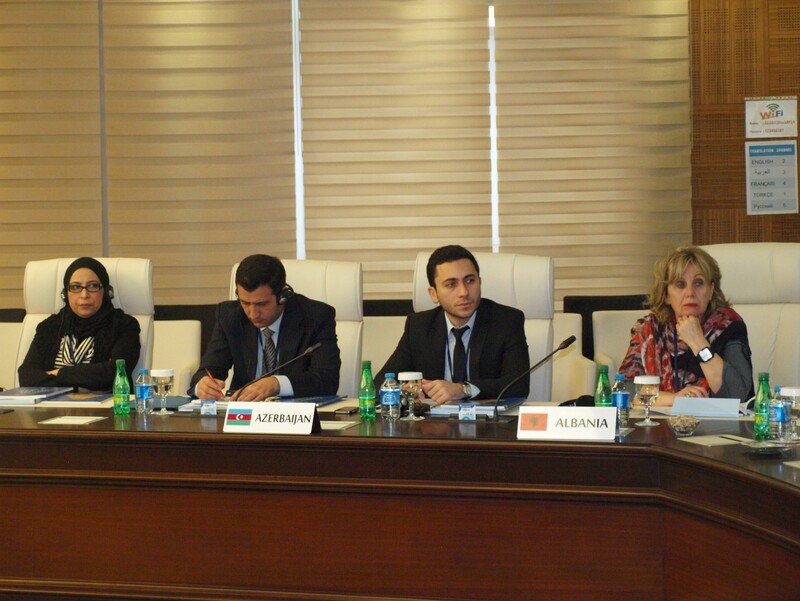 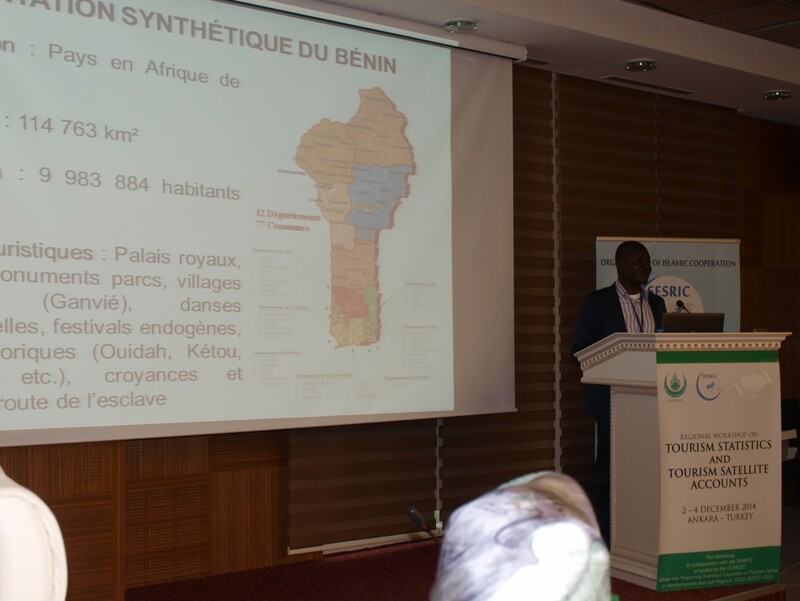 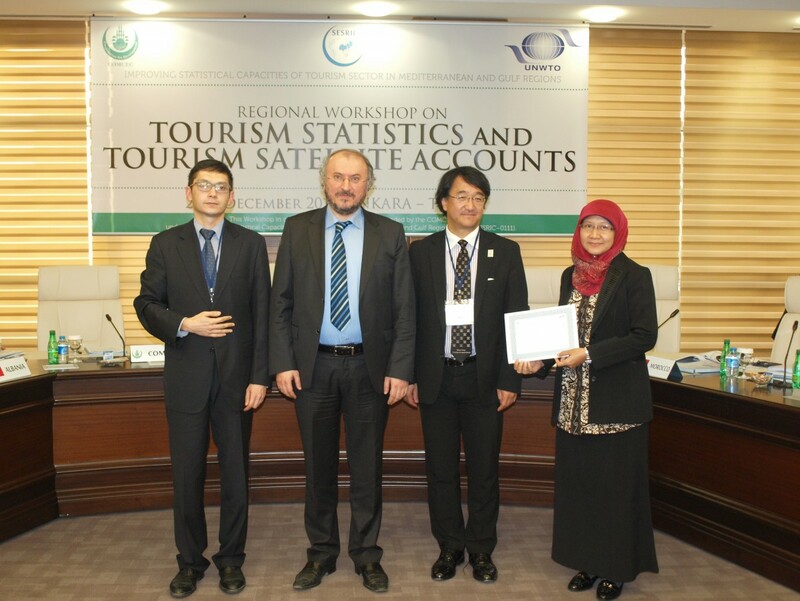 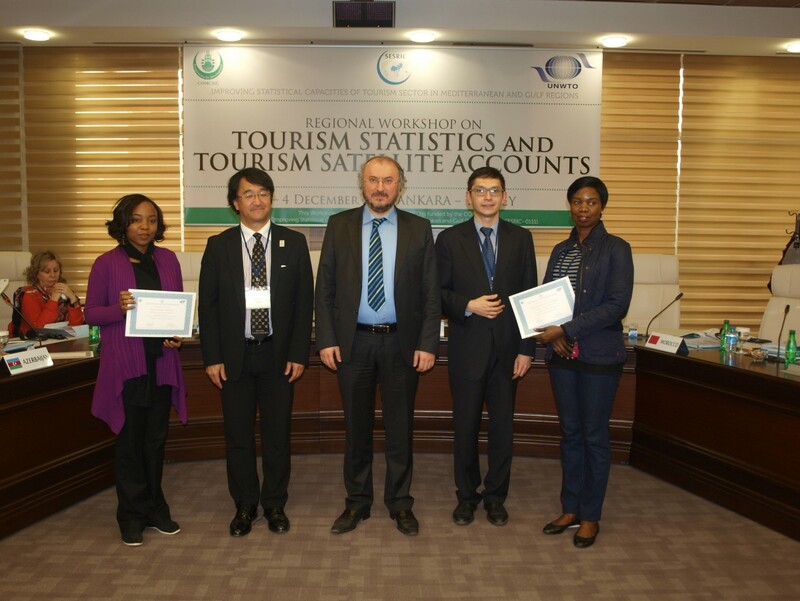 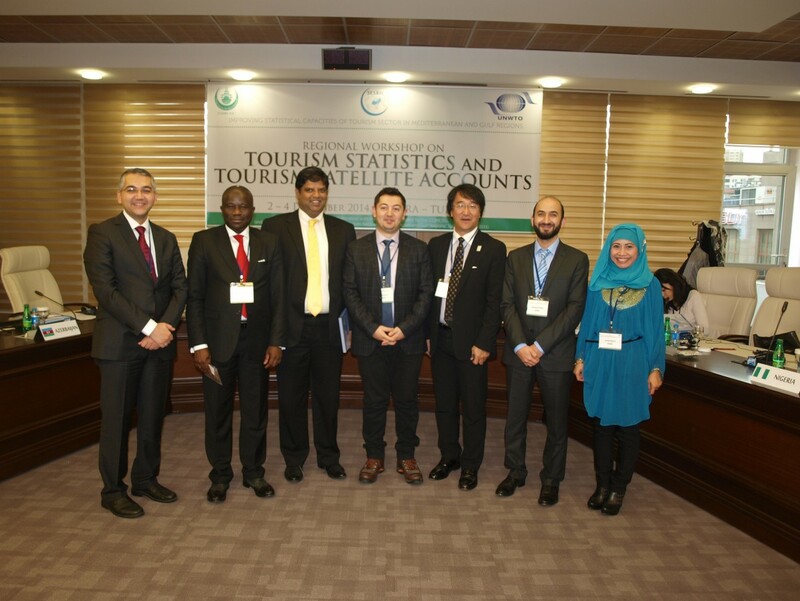 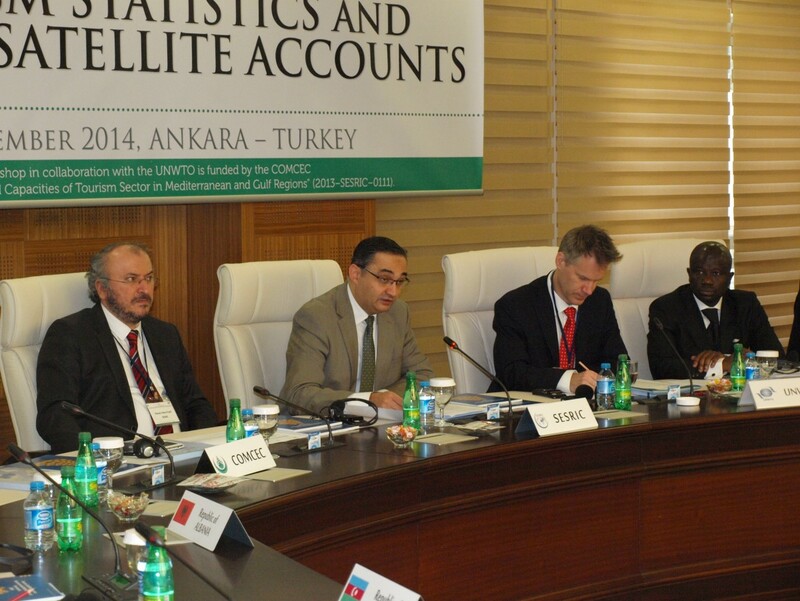 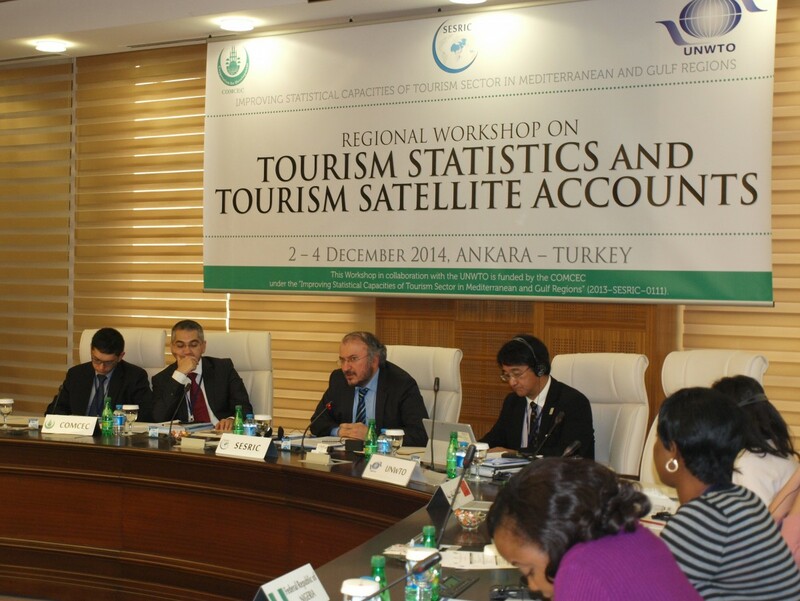 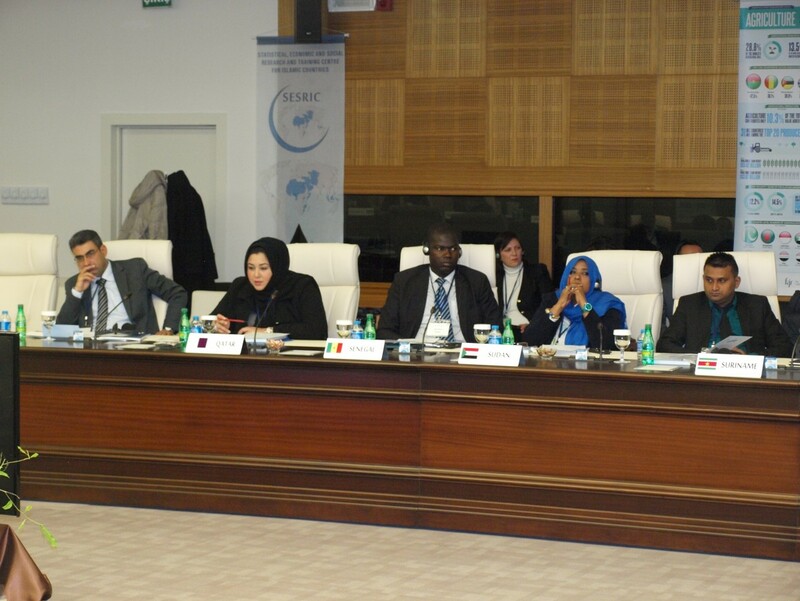 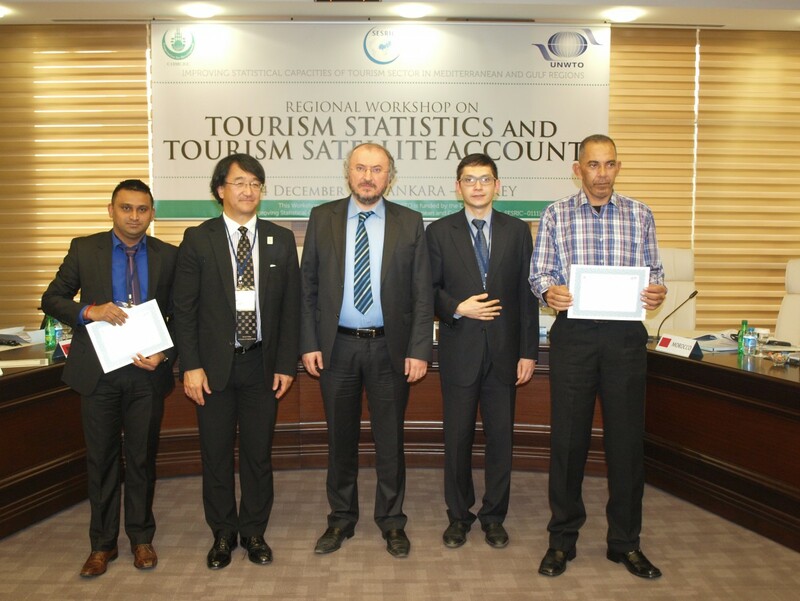 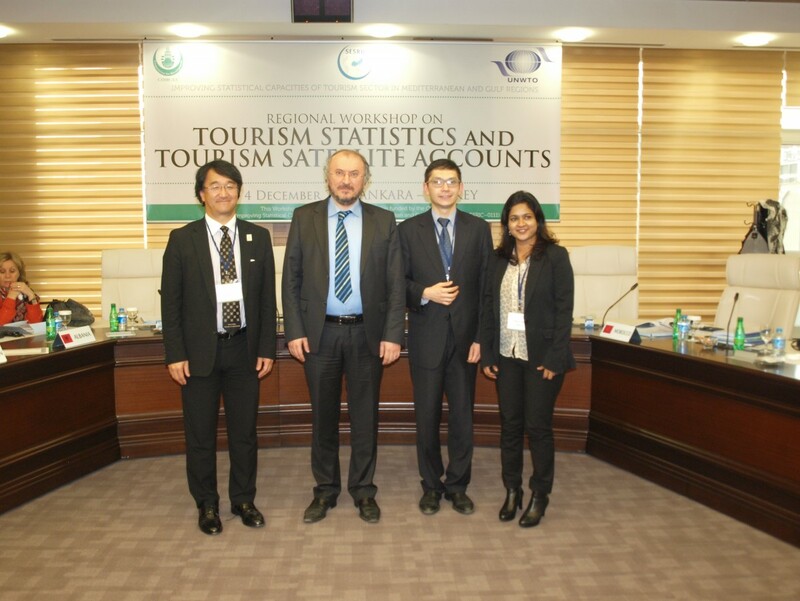 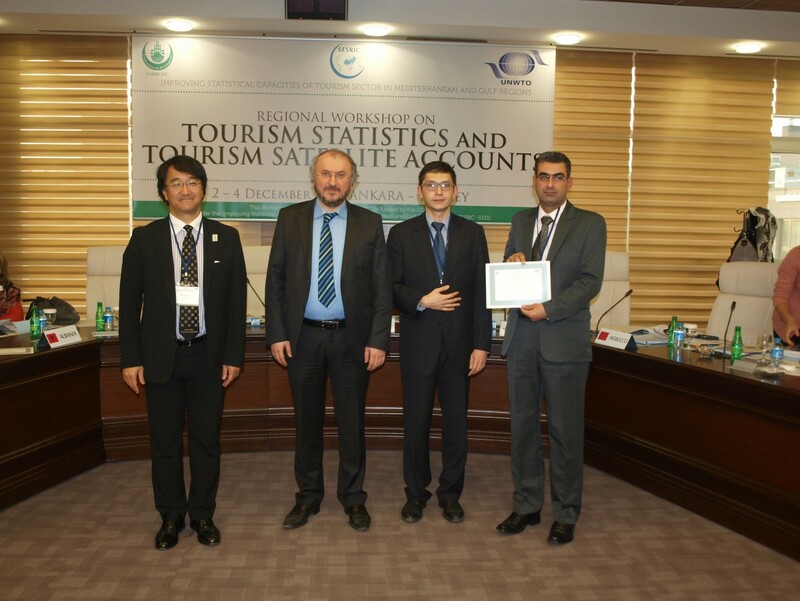 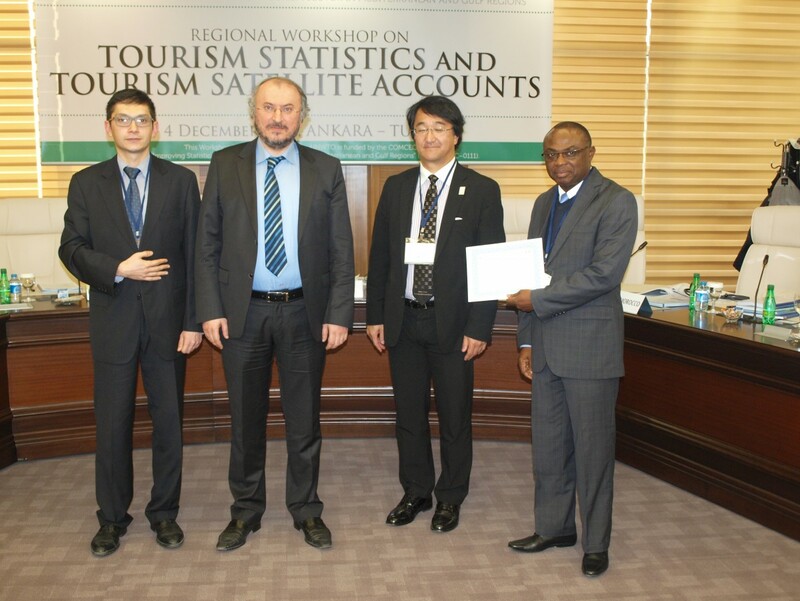 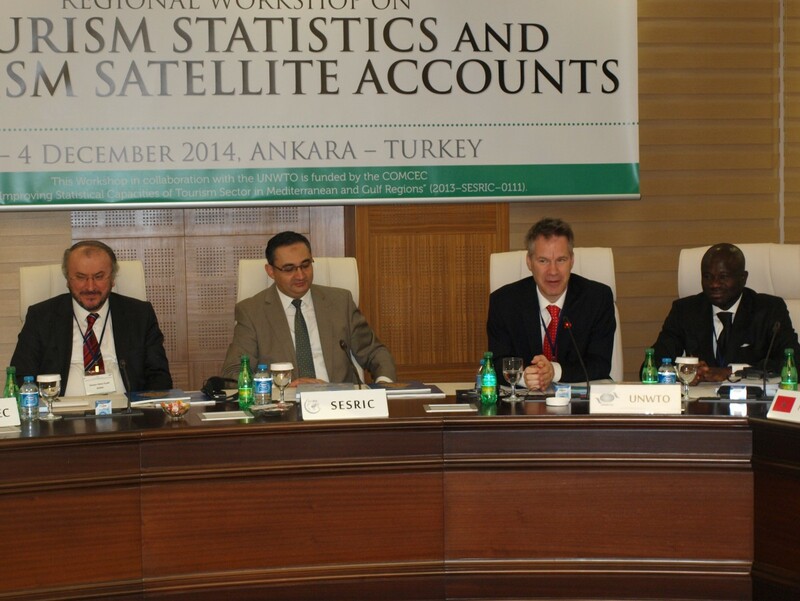 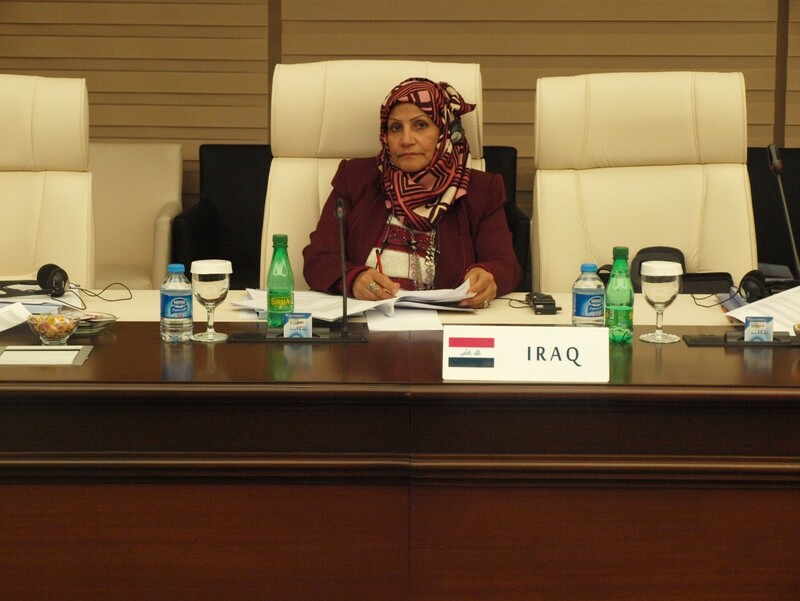 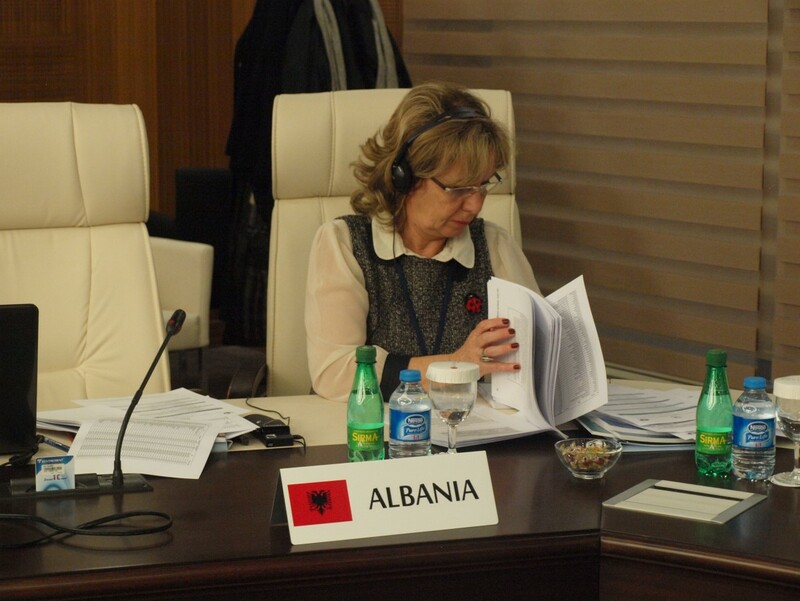 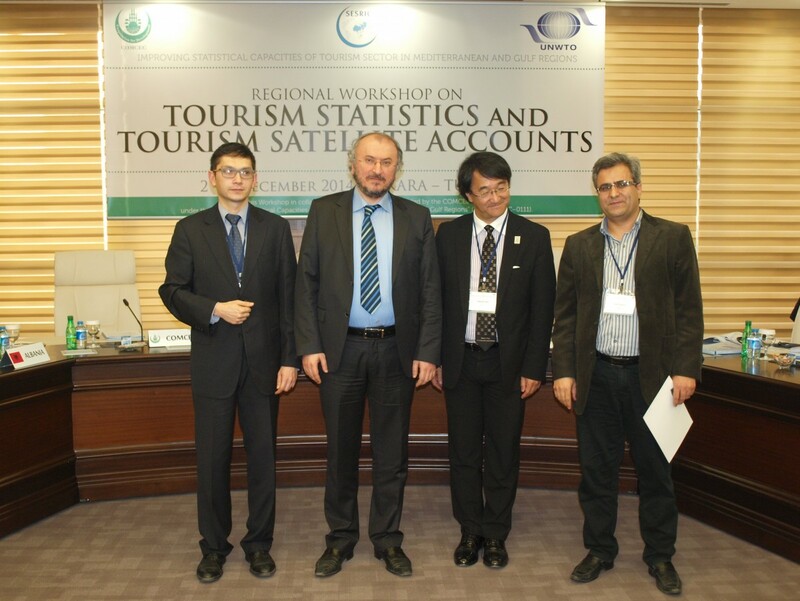 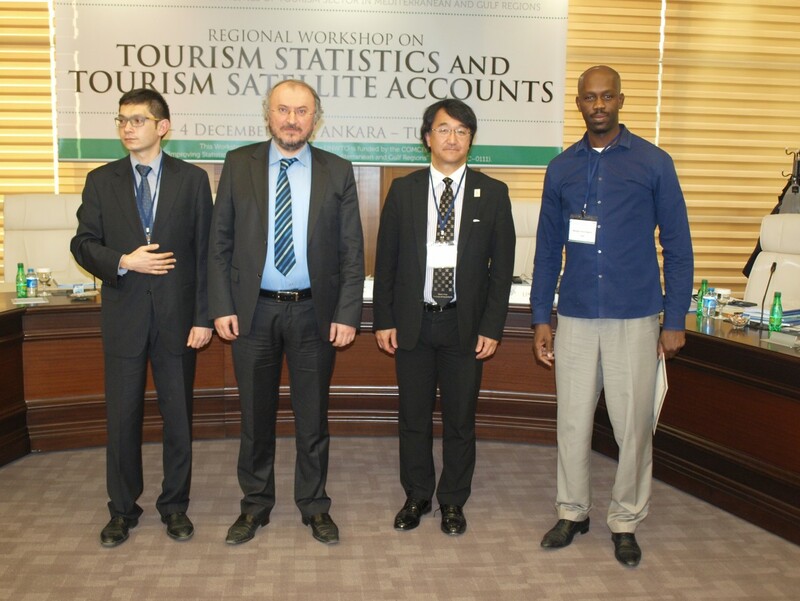 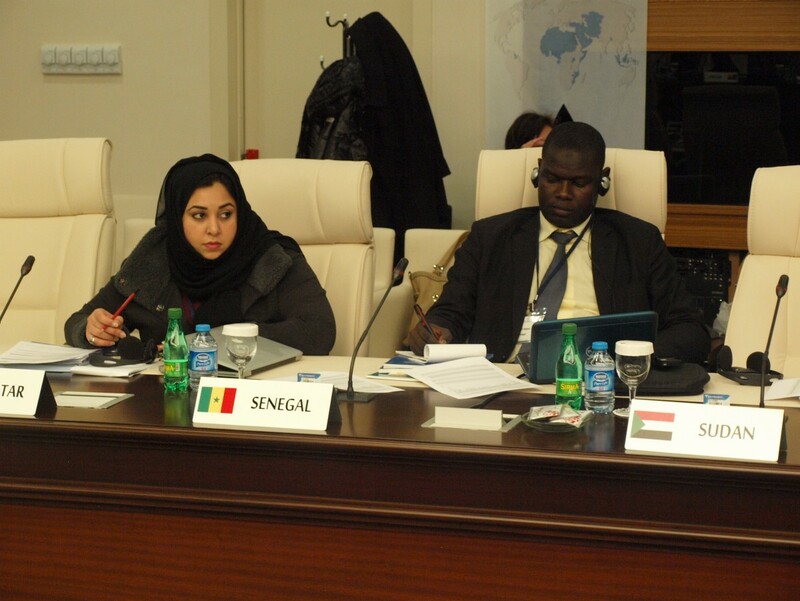 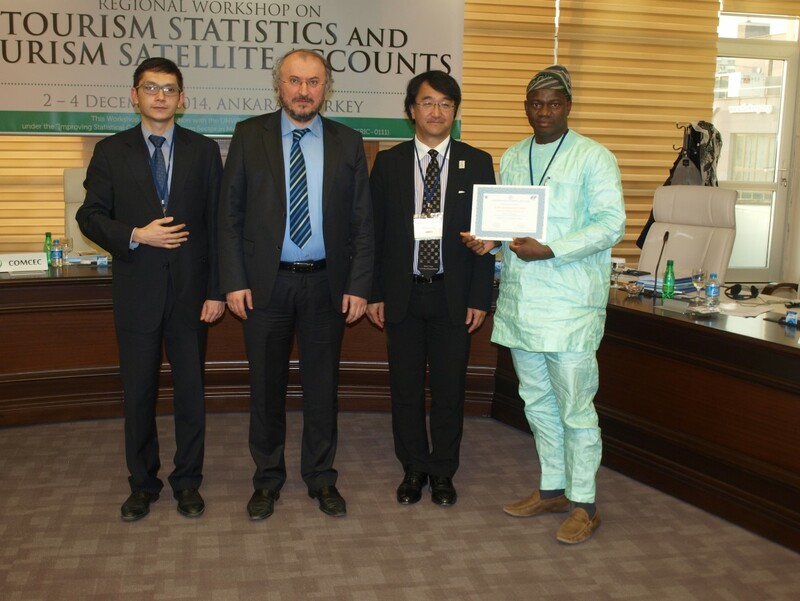 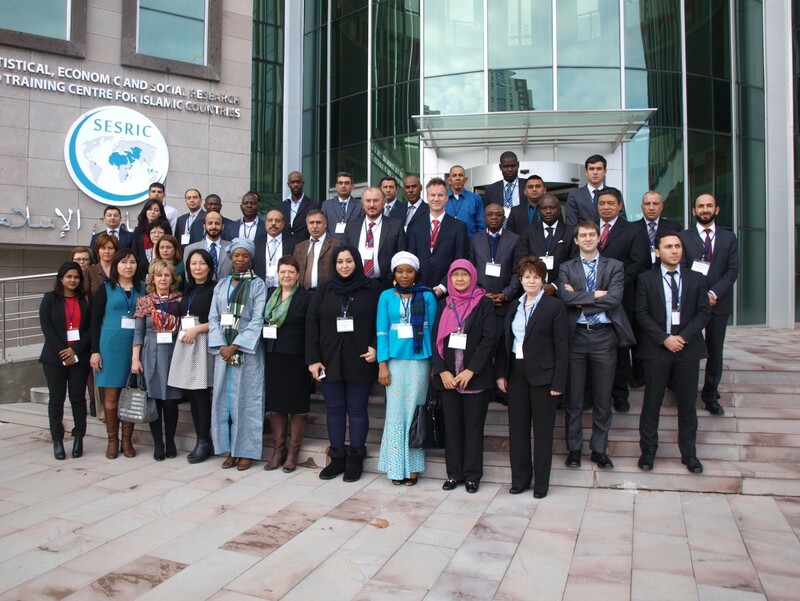 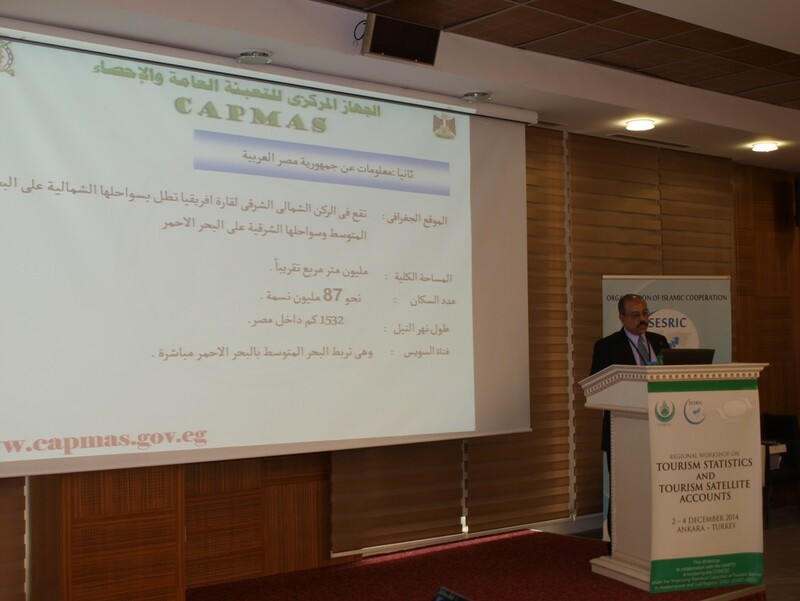 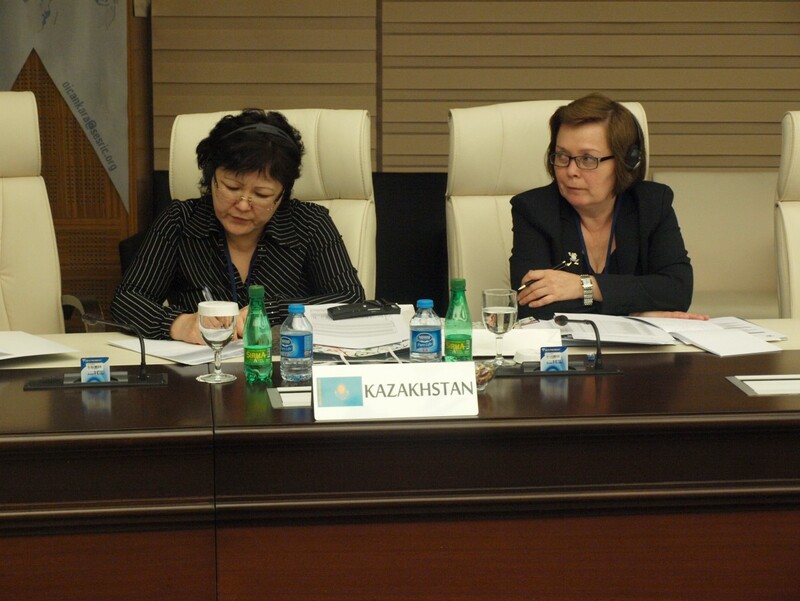 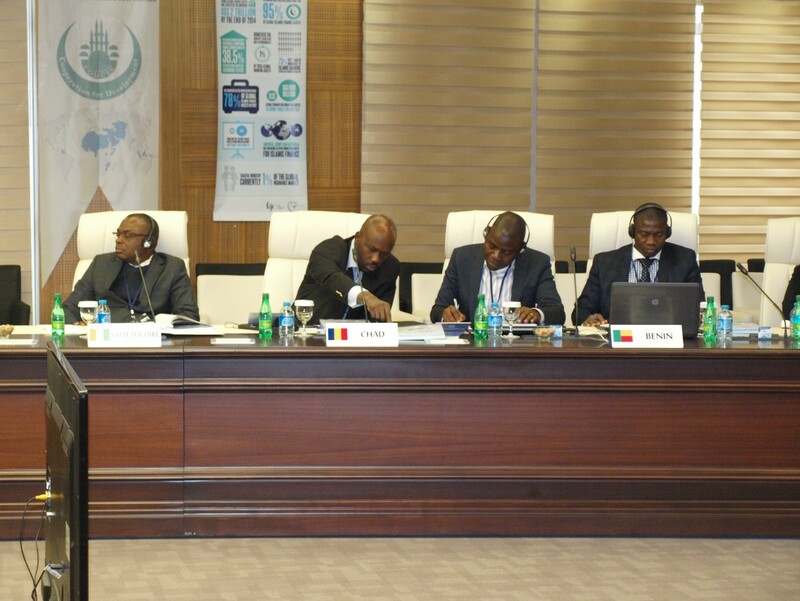 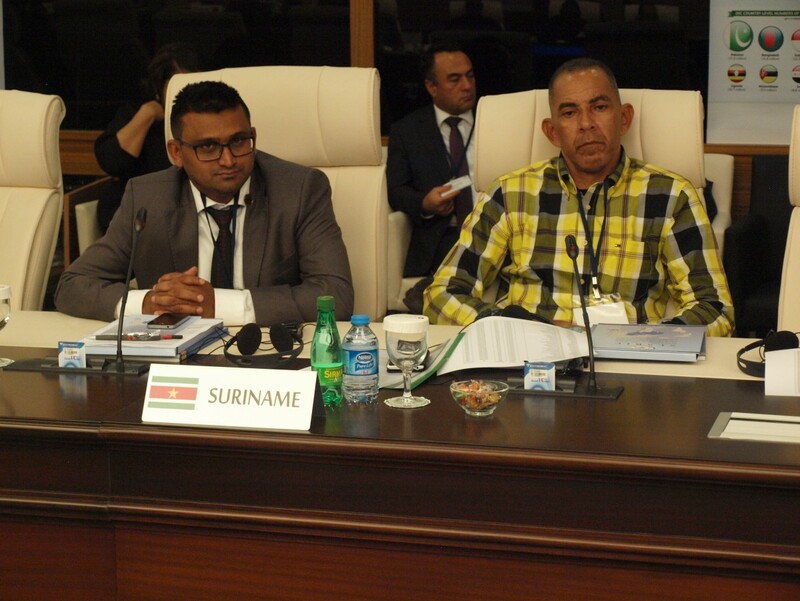 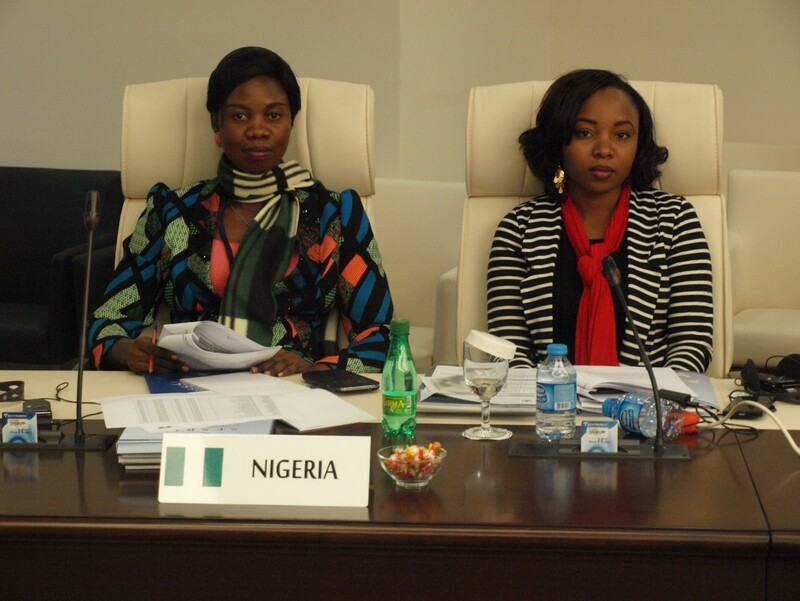 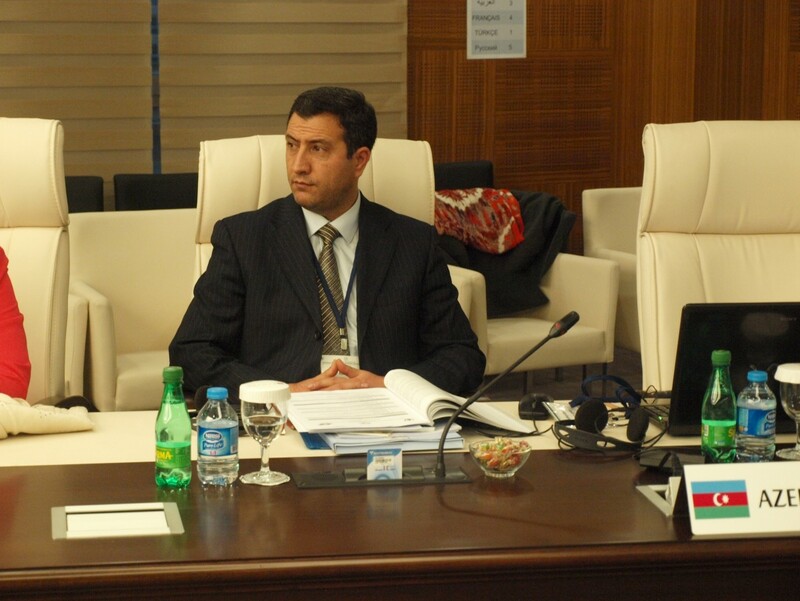 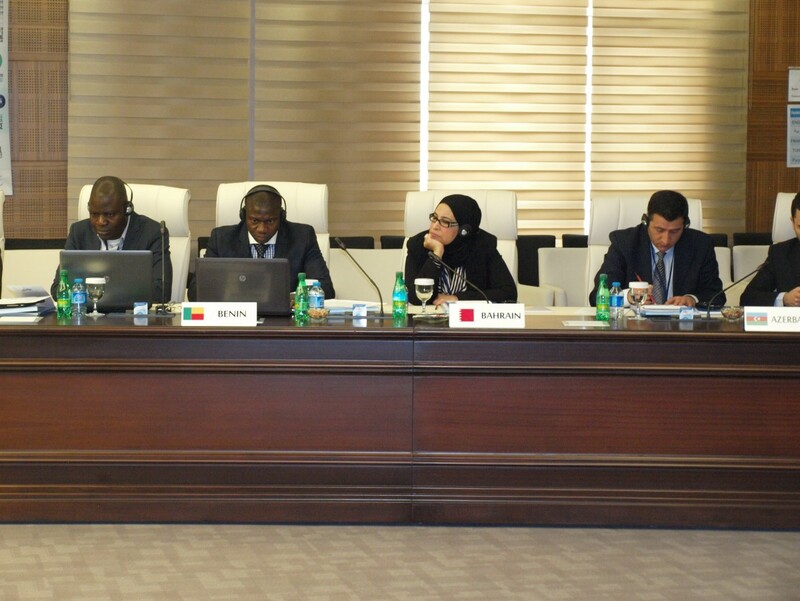 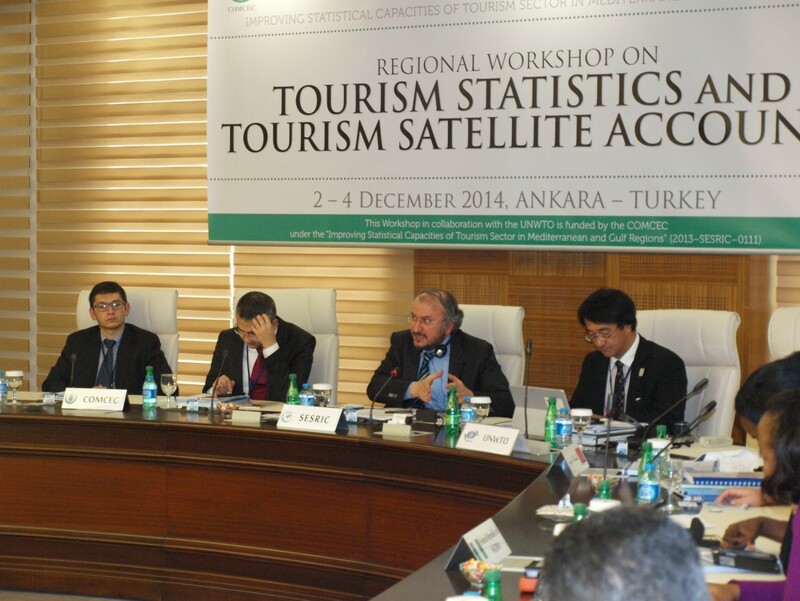 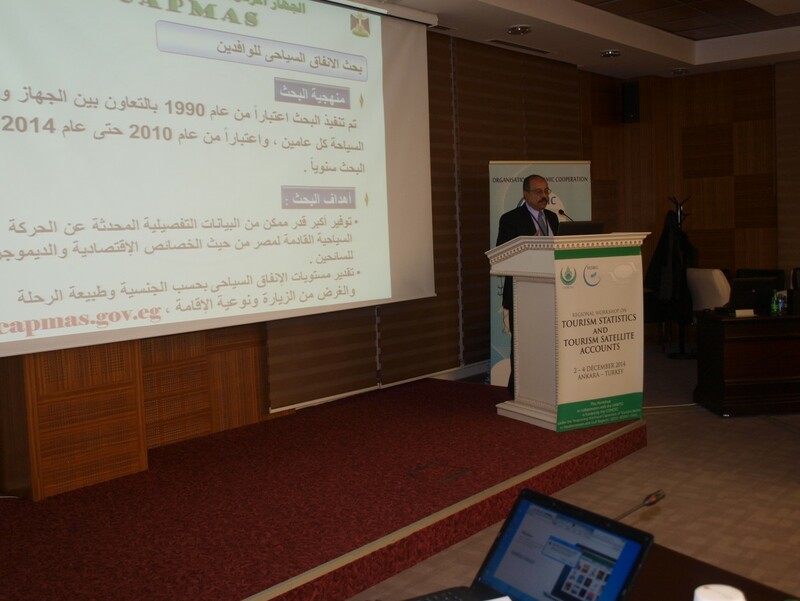 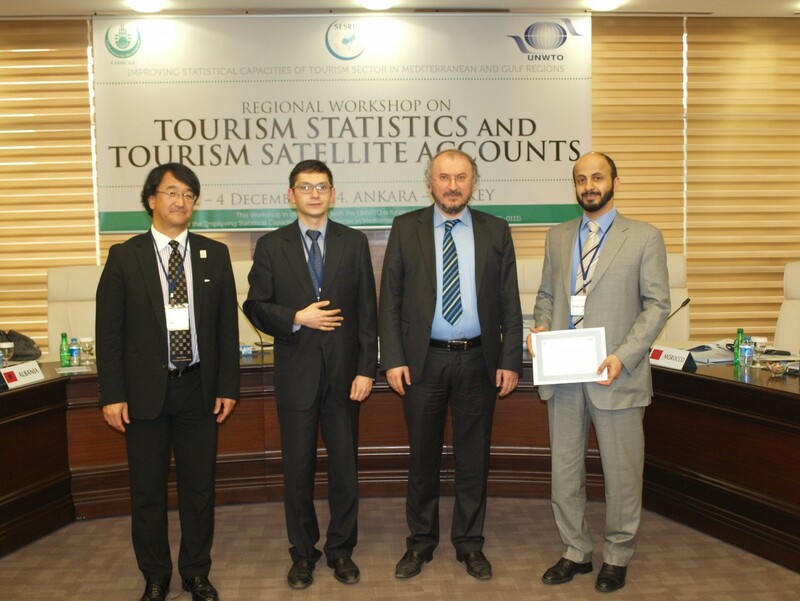 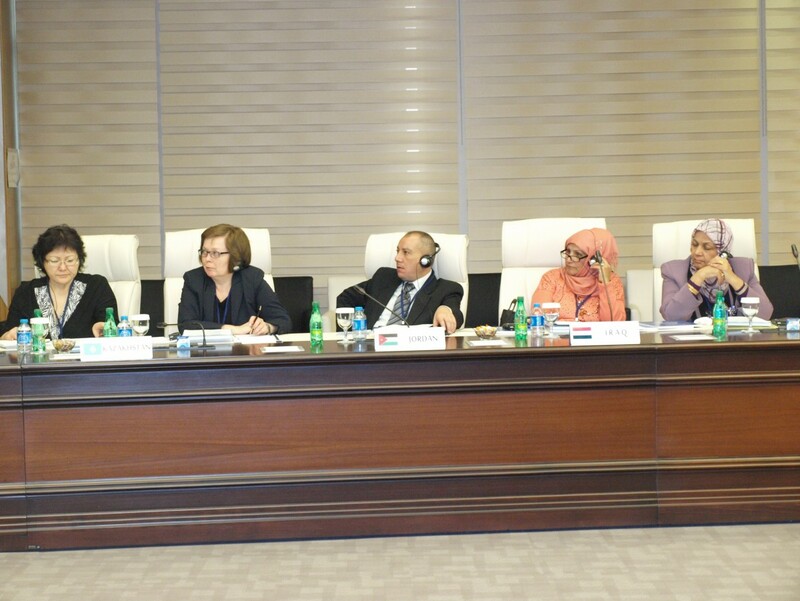 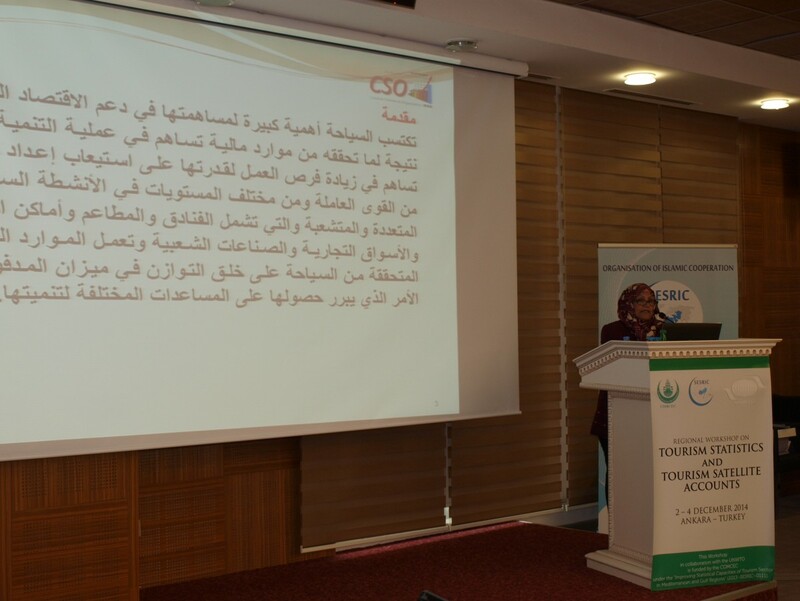 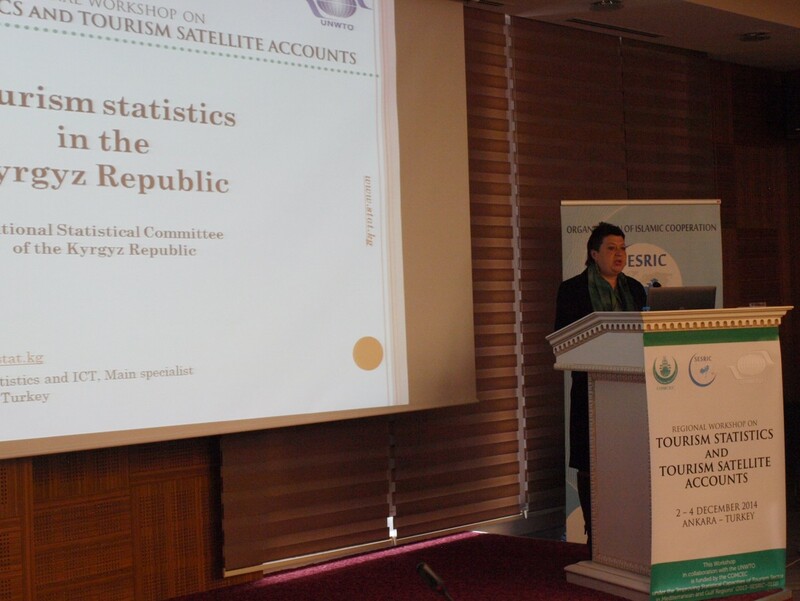 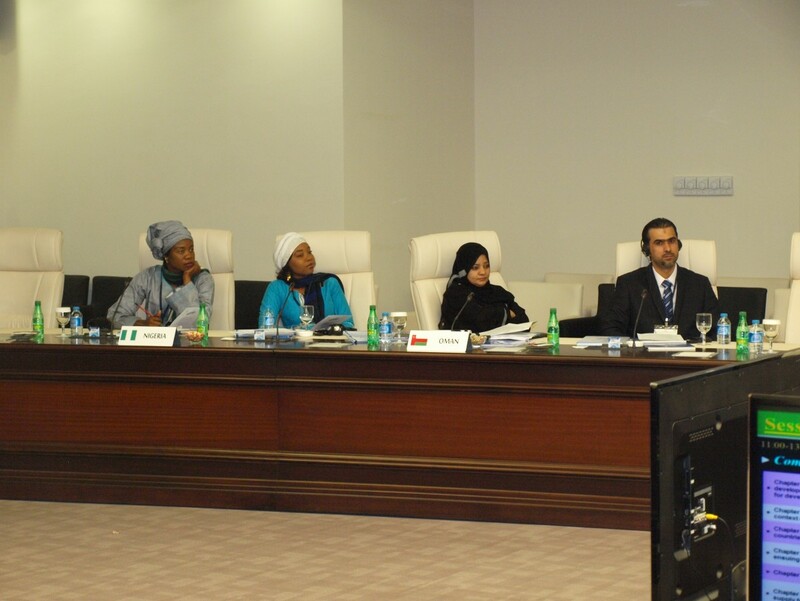 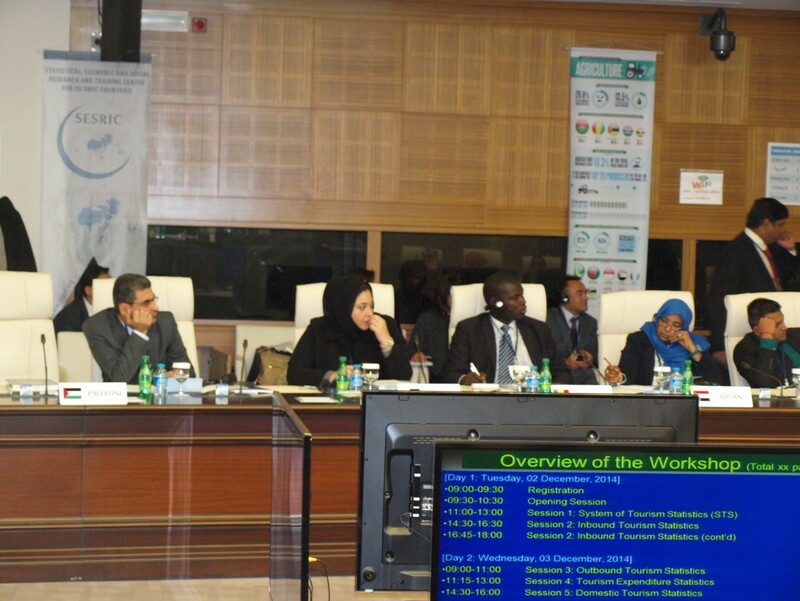 The Workshop was attended by 50 delegates of the National Statistical Offices (NSOs), Ministries of Tourism, Central Banks, and Private Sector Associations from 27 OIC Member Countries including Albania, Azerbaijan, Bahrain, Benin, Chad, Côte d’Ivoire, Egypt, Indonesia, Iran, Iraq, Jordan, Kazakhstan, Kyrgyzstan, Malaysia, Maldives, Morocco, Nigeria, Oman, Palestine, Qatar, Sudan, Suriname, Tunisia, Turkey, United Arab Emirates, Uzbekistan and Yemen. 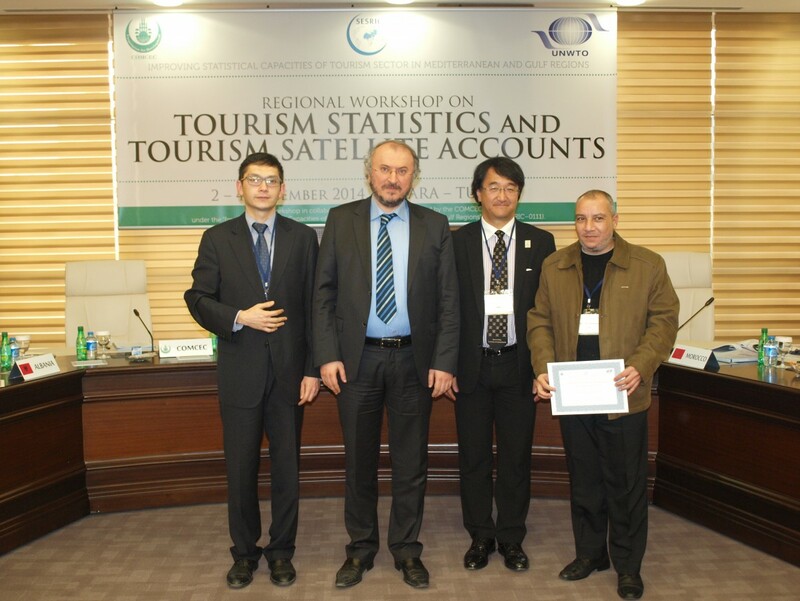 The COMCEC representative also participated in the Workshop. 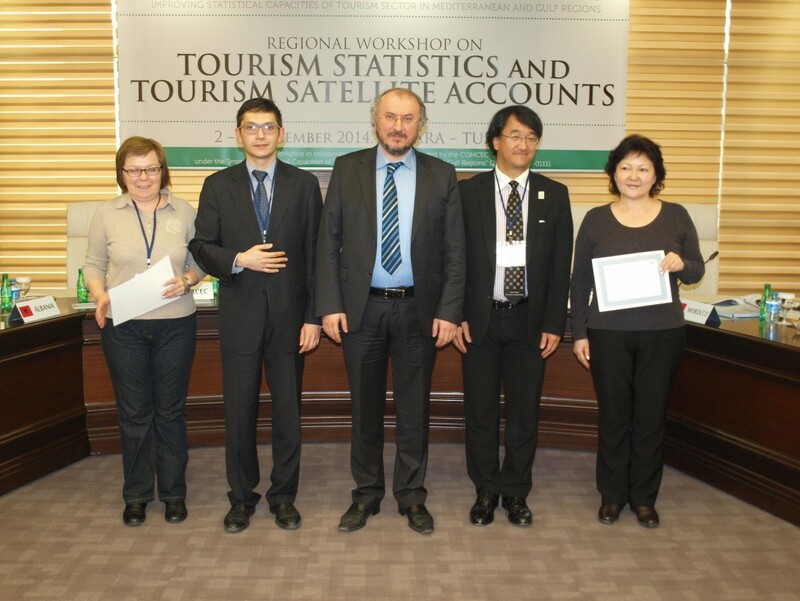 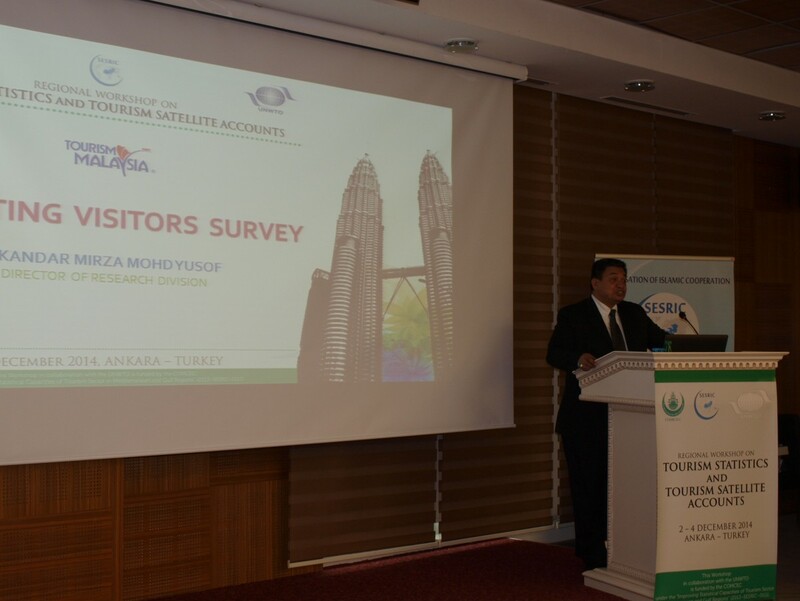 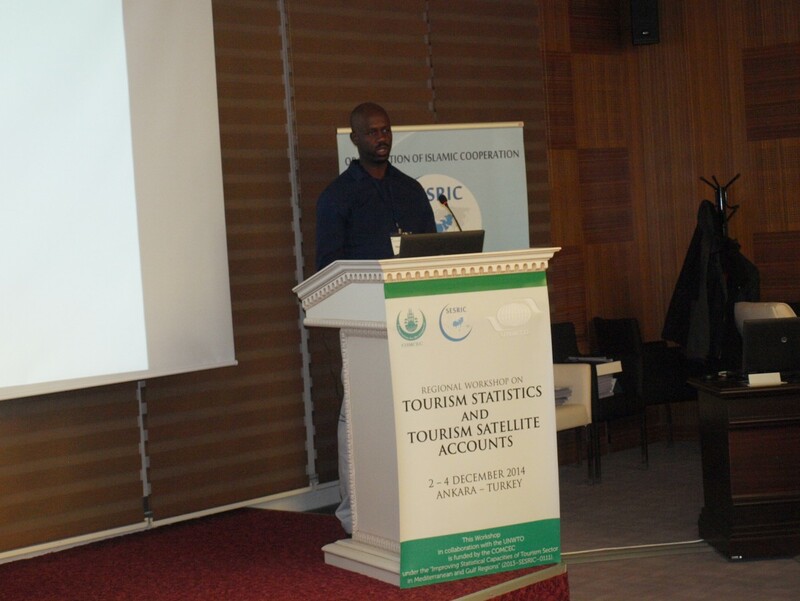 share common goals to enhance the National Statistical Systems (NSSs) to the degree that member countries can start to build some of the ten recommended tables for Tourism Satellite Accounts (TSAs) as soon as enough inter-institutional collaboration framework became functional. 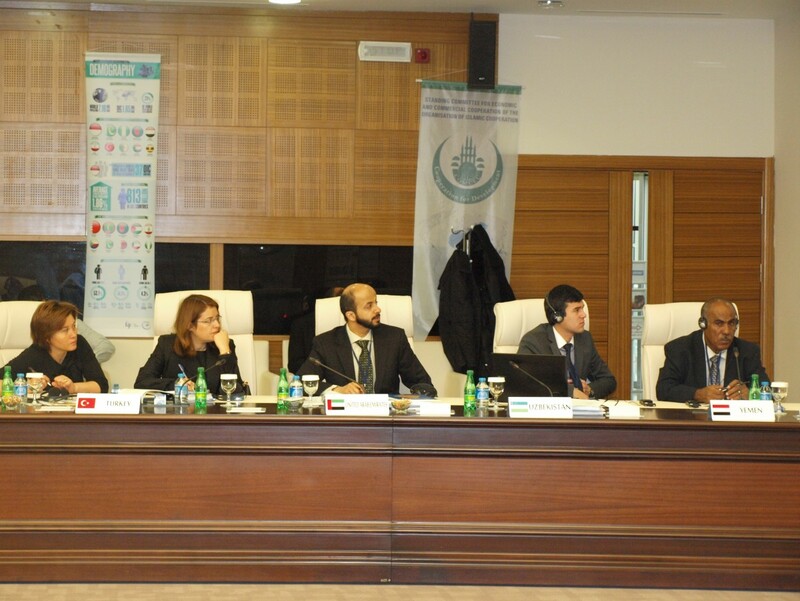 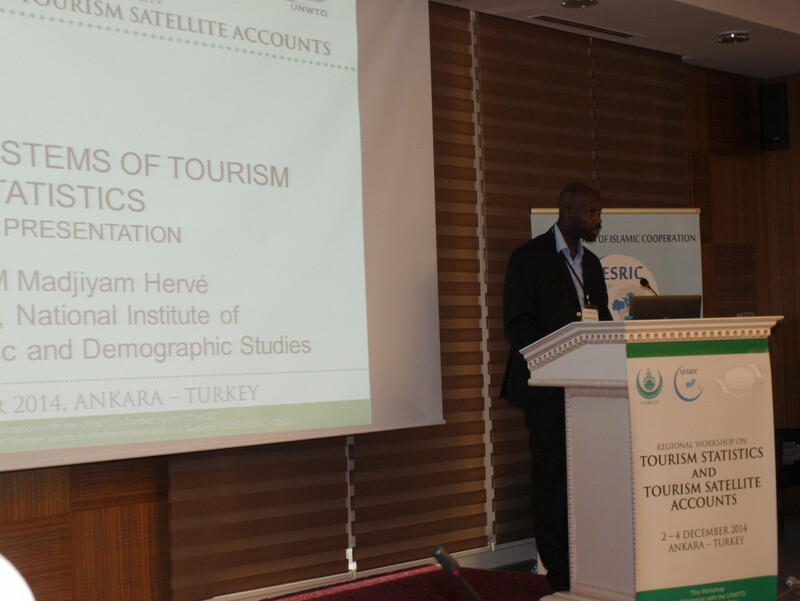 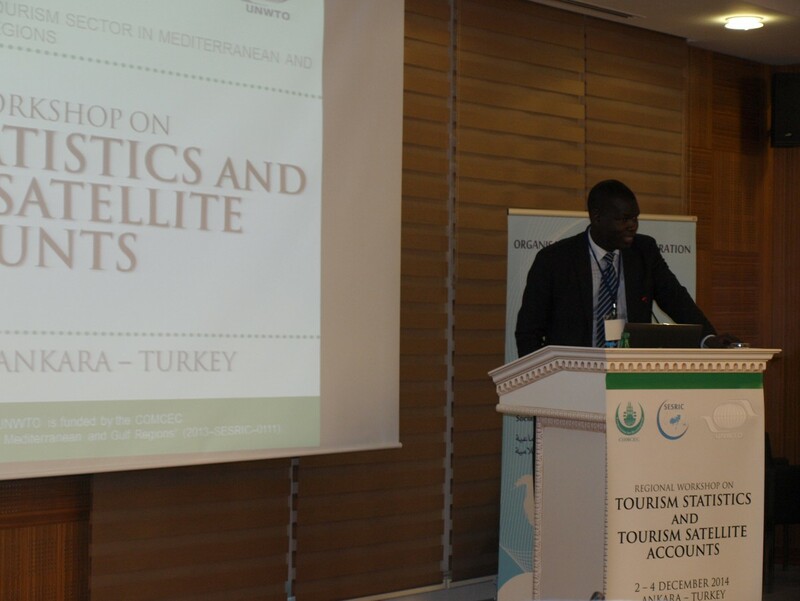 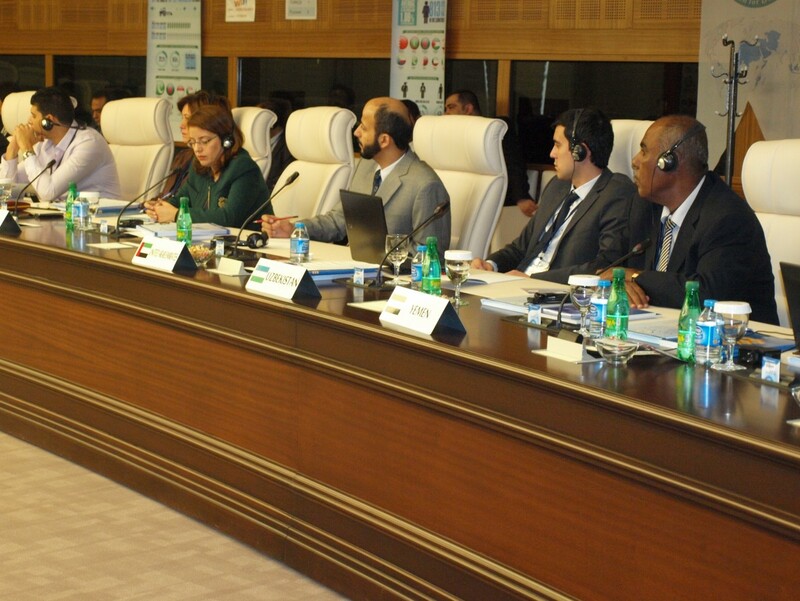 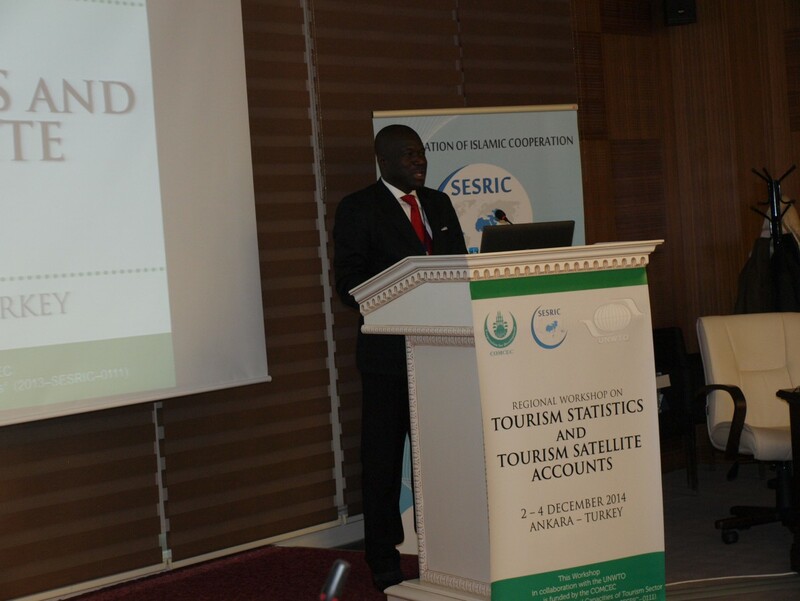 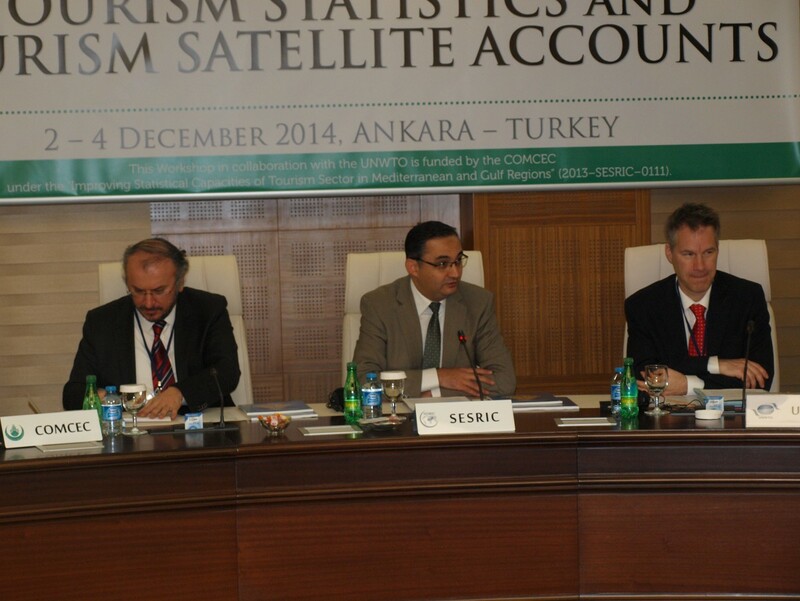 The Workshop commenced with the recitation of verses from the Holy Quran and corporate video of SESRIC, and then followed by welcome addresses by Prof. Savaş Alpay, Director General of SESRIC, and Mr. Oliver Herrmann, Director of Statistics and Tourism Satellite Programme at the UNWTO. 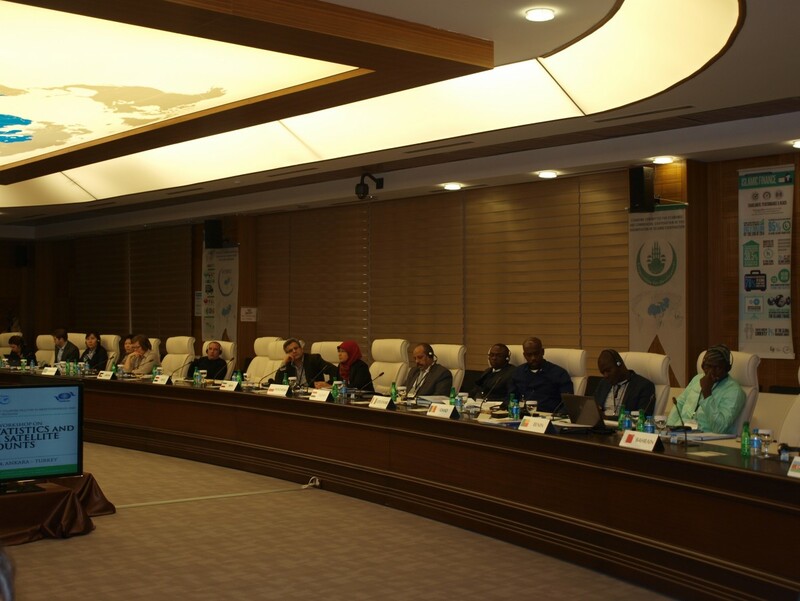 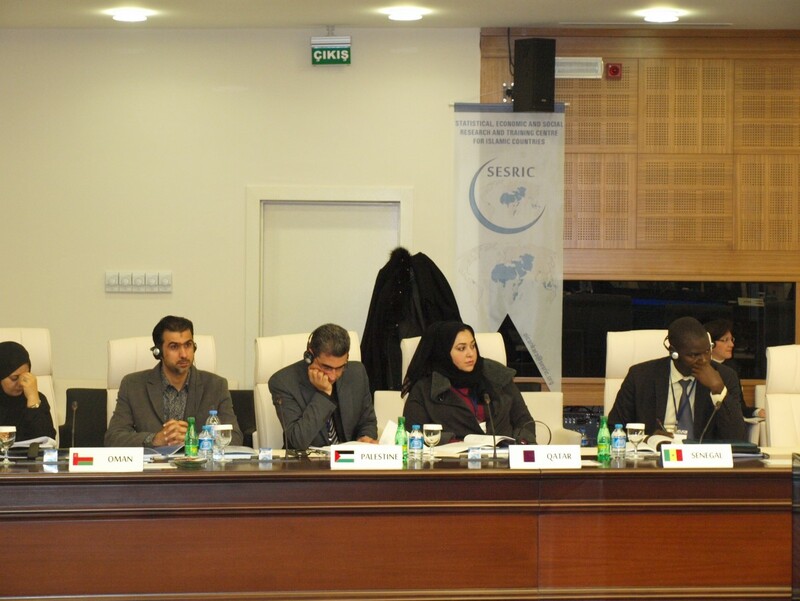 In his Welcome Address, Prof. Alpay expressed his thanks to the delegates for accepting SESRIC’s invitation and designating their time to attend the workshop. 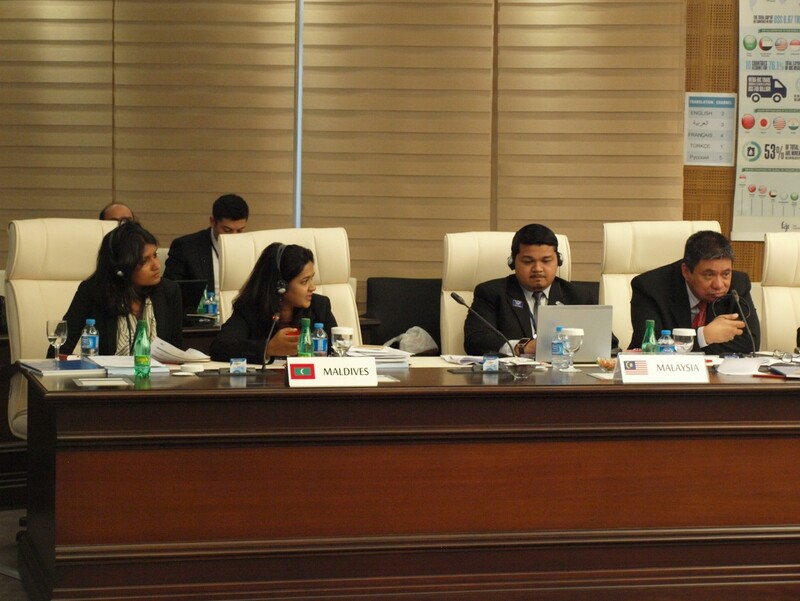 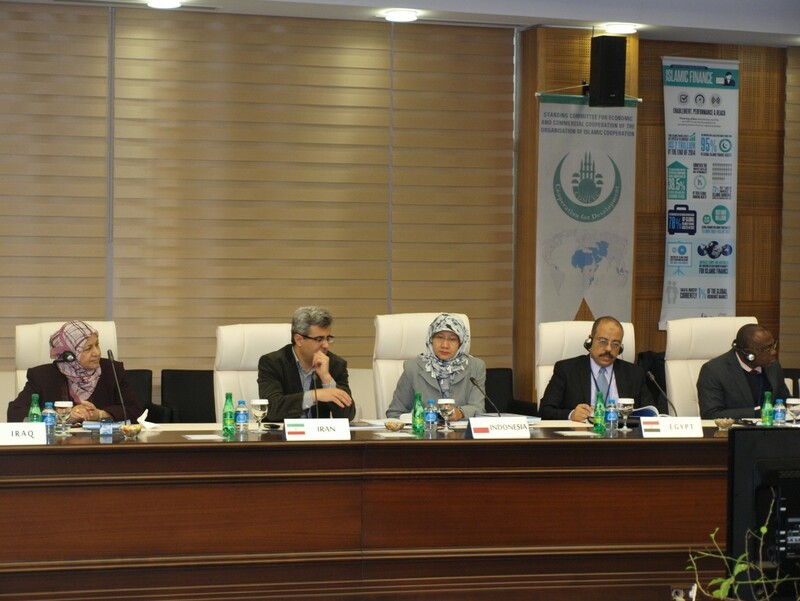 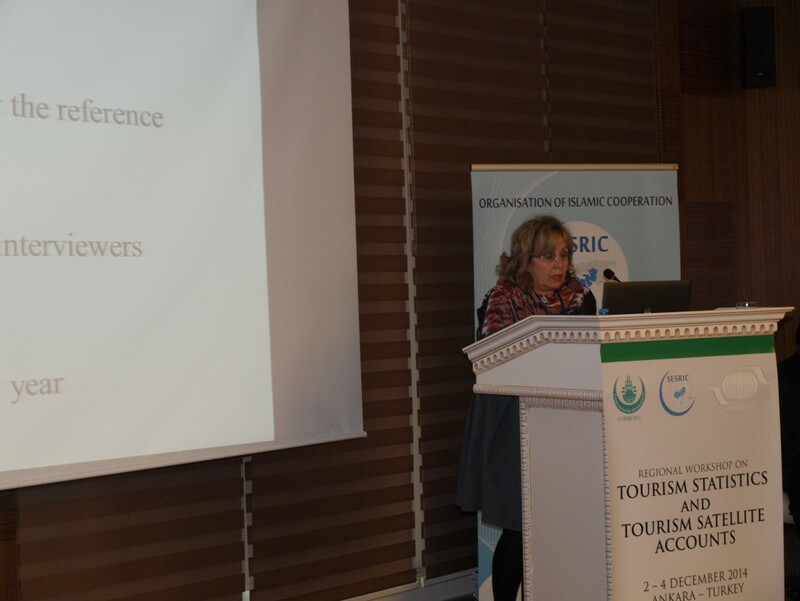 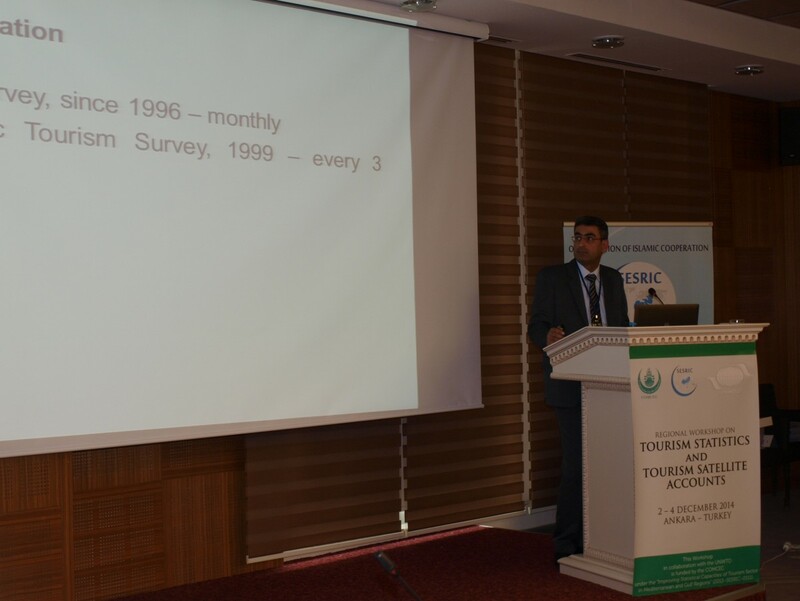 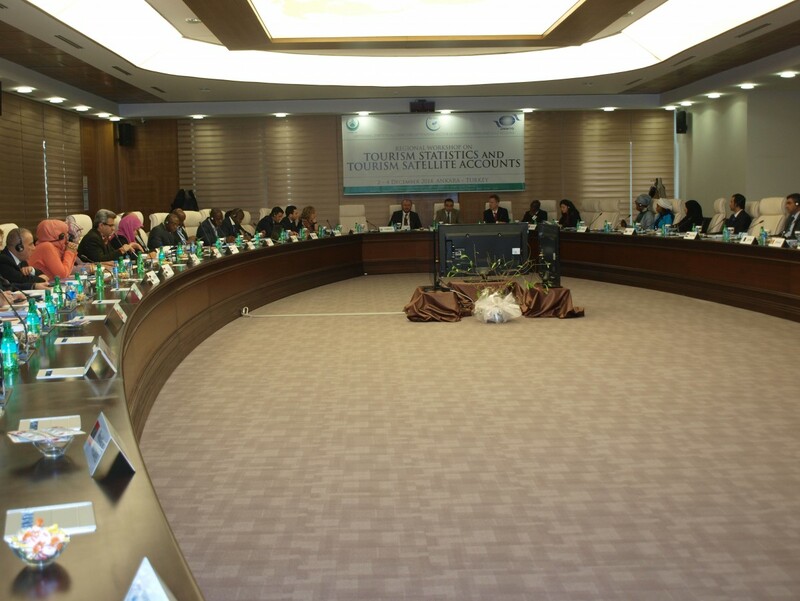 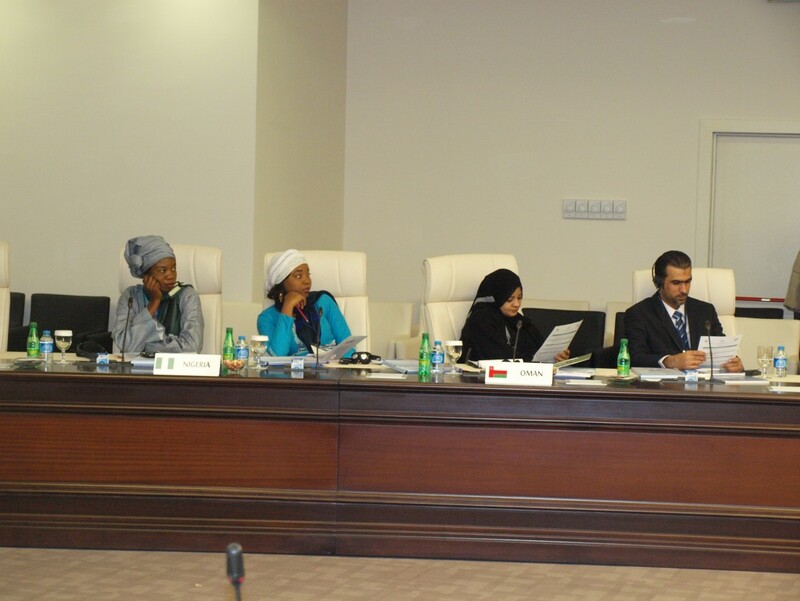 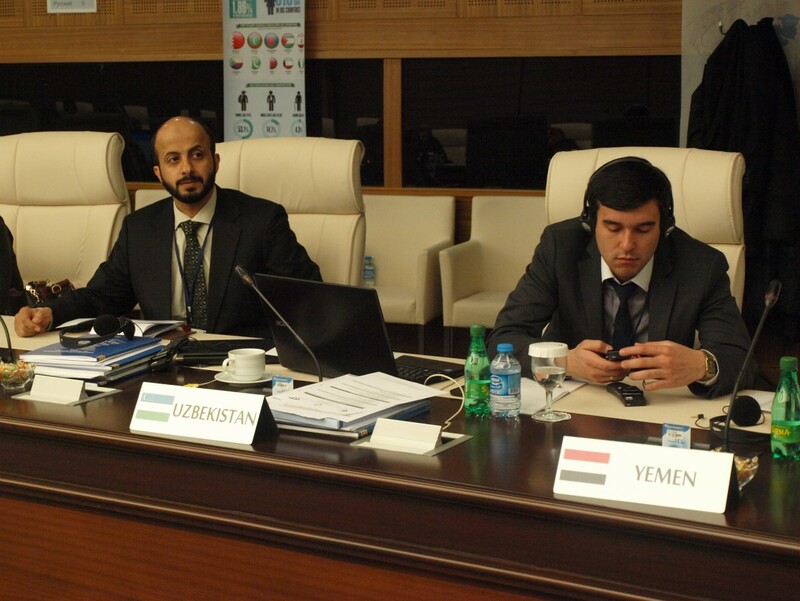 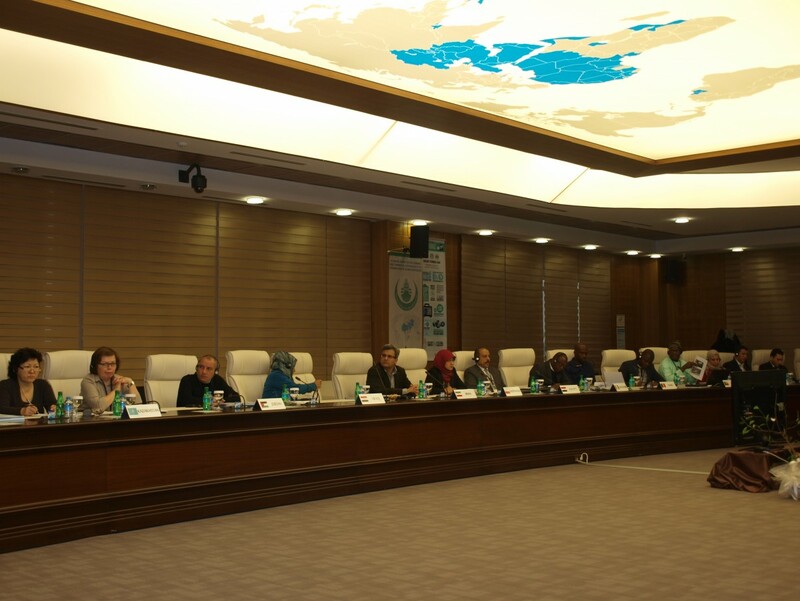 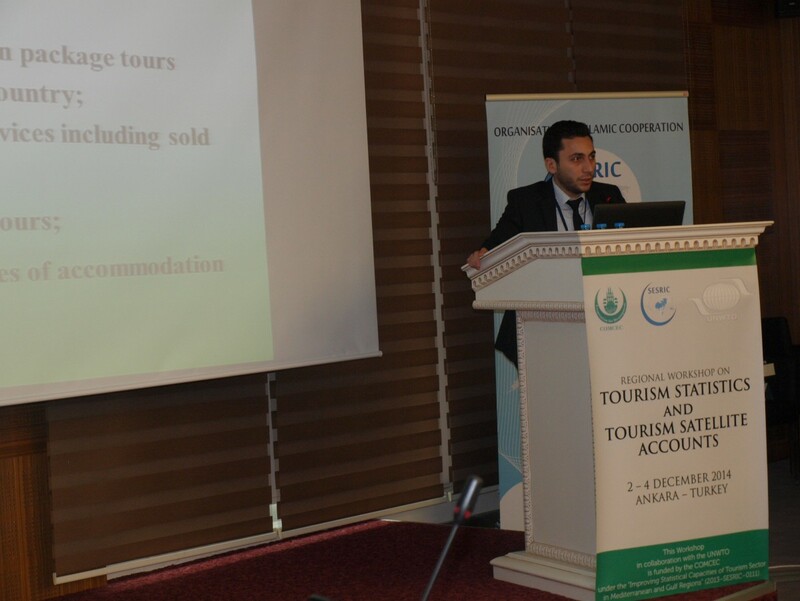 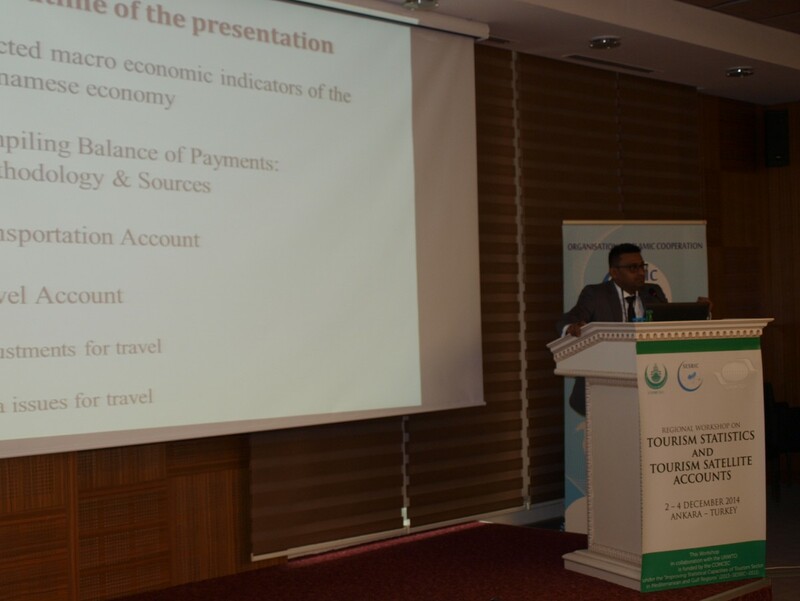 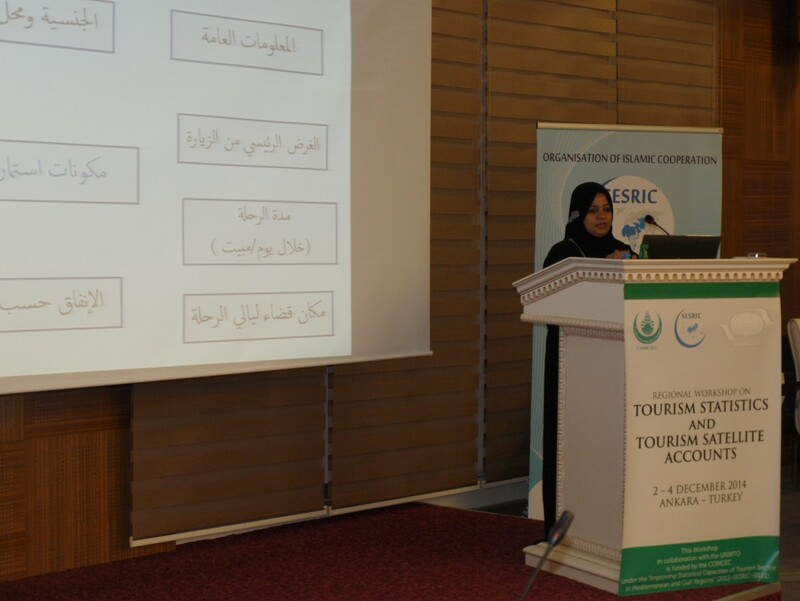 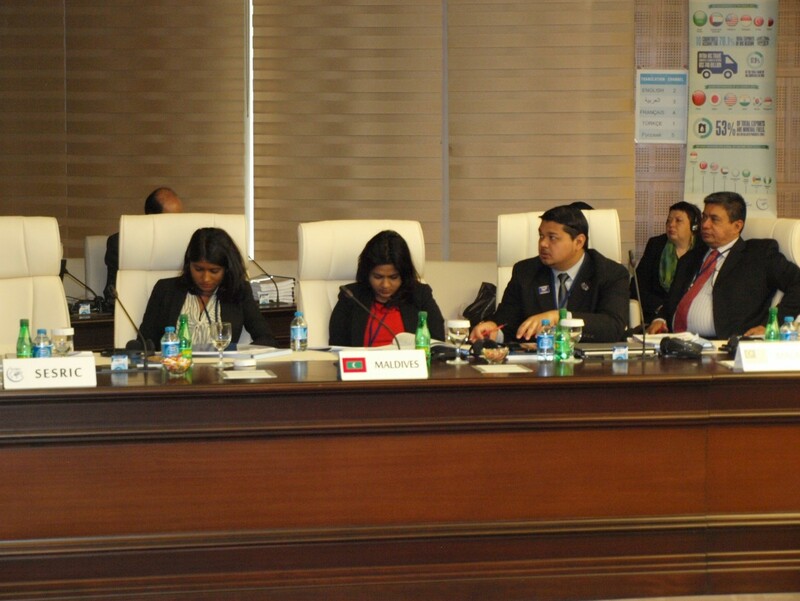 By highlighting the statistical findings at both the global and OIC level, he elaborated on the current situation of the various aspects of tourism in the OIC Member Countries. 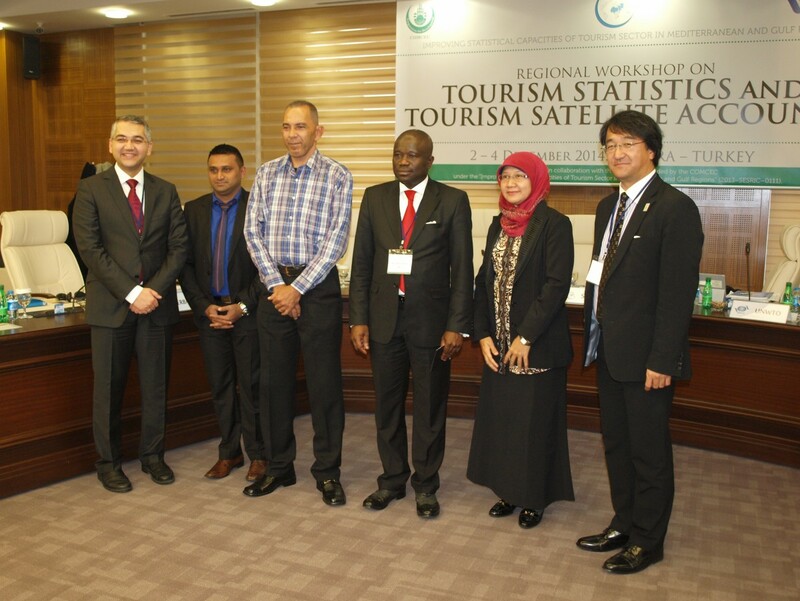 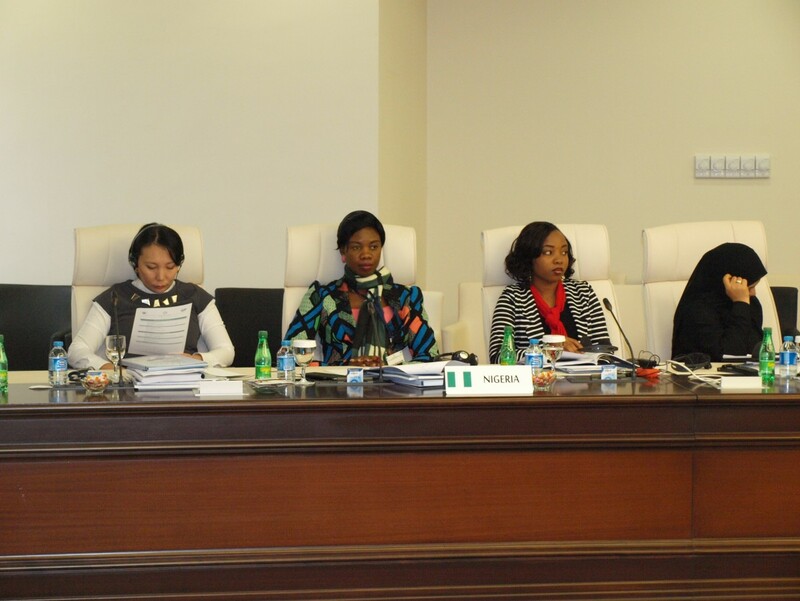 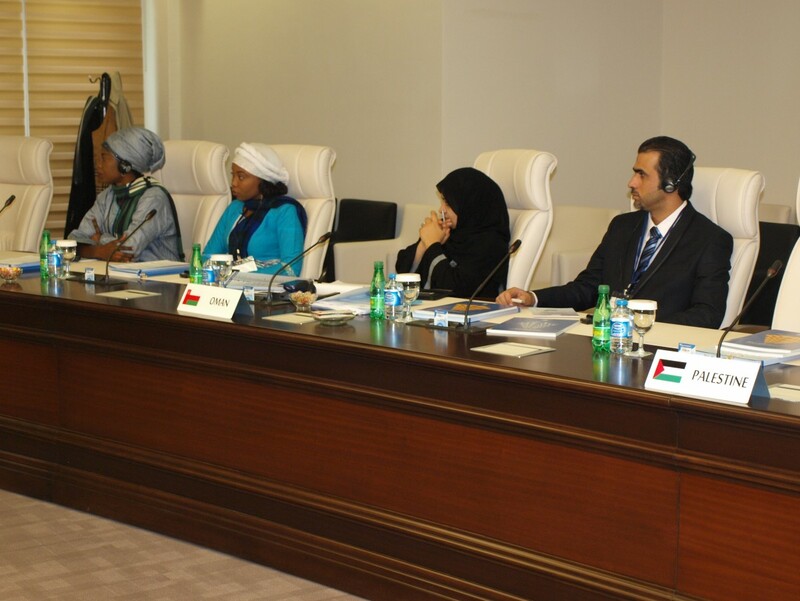 He further shared his belief that the workshop would provide an invaluable platform to discuss further ways of improving the existing programmes of tourism statistics of the Member Countries, besides identifying new potential areas for further collaboration. 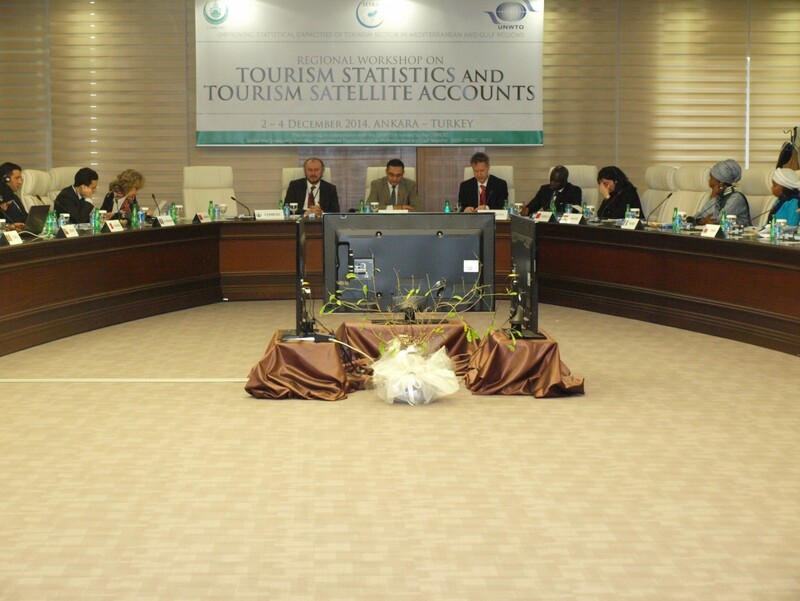 For his part, Mr. Herrmann stressed the importance of Domestic Tourism and the increasing need for international collaboration for leveraging the statistical infrastructure of the developing countries. 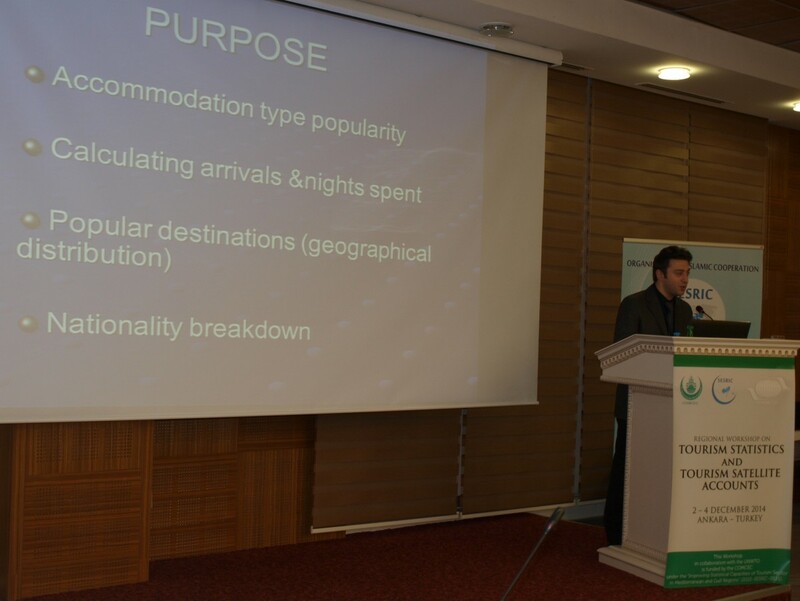 He reiterated that the UNWTO is ready to support the countries in their efforts to improve their tourism statistics capacities. 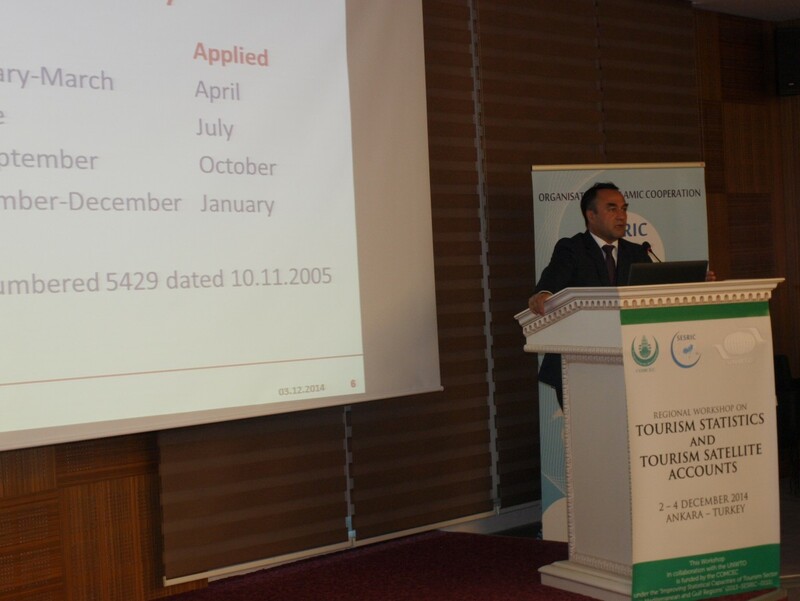 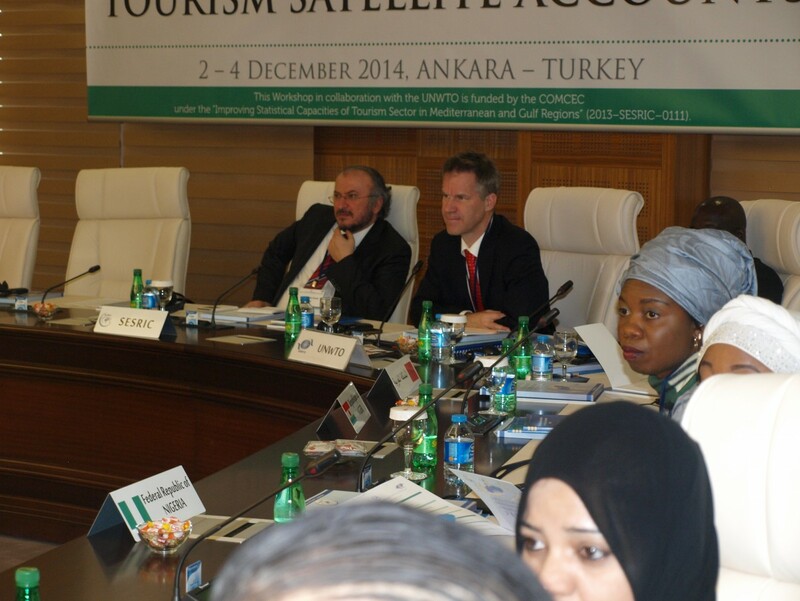 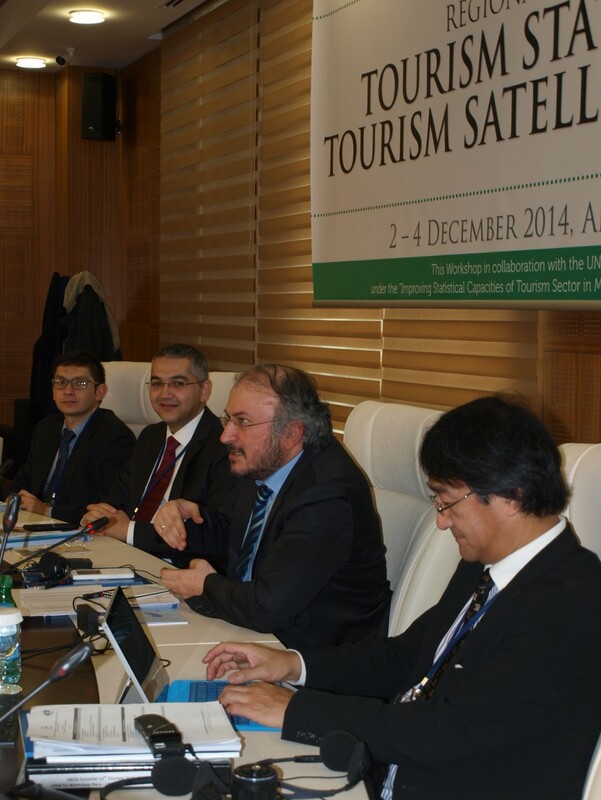 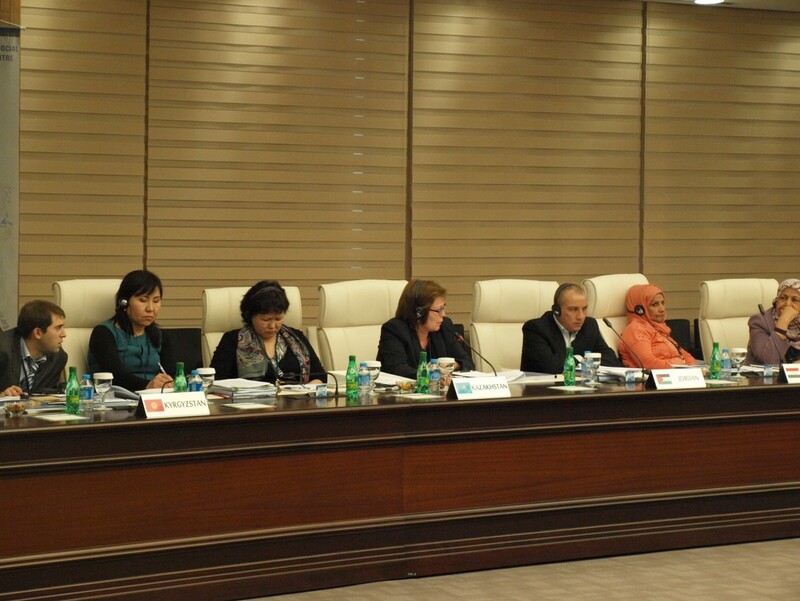 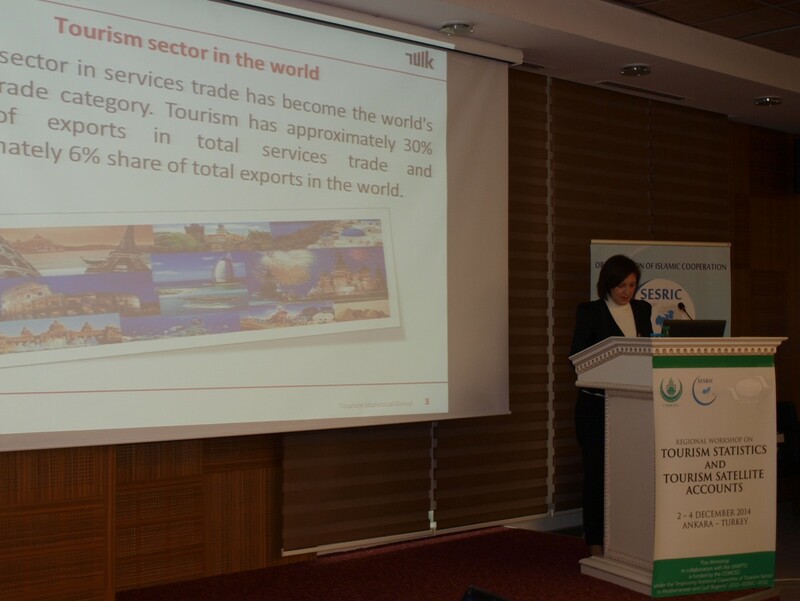 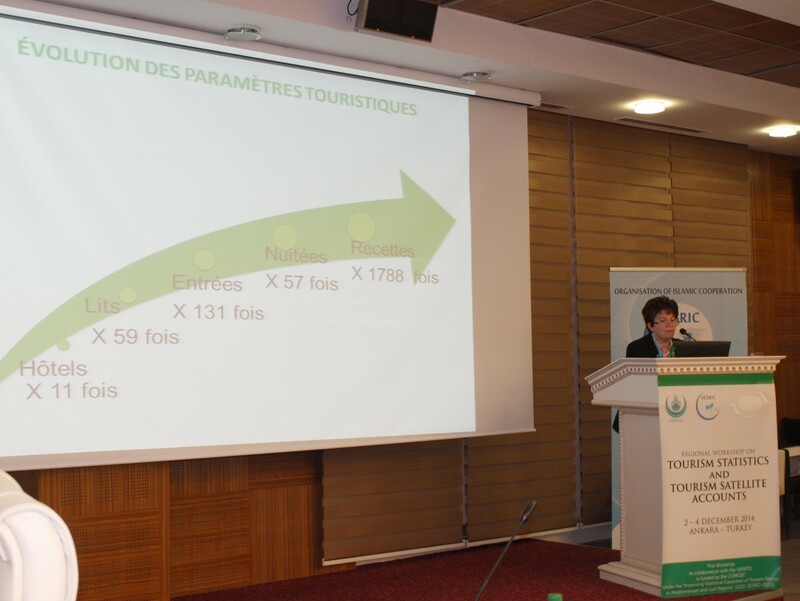 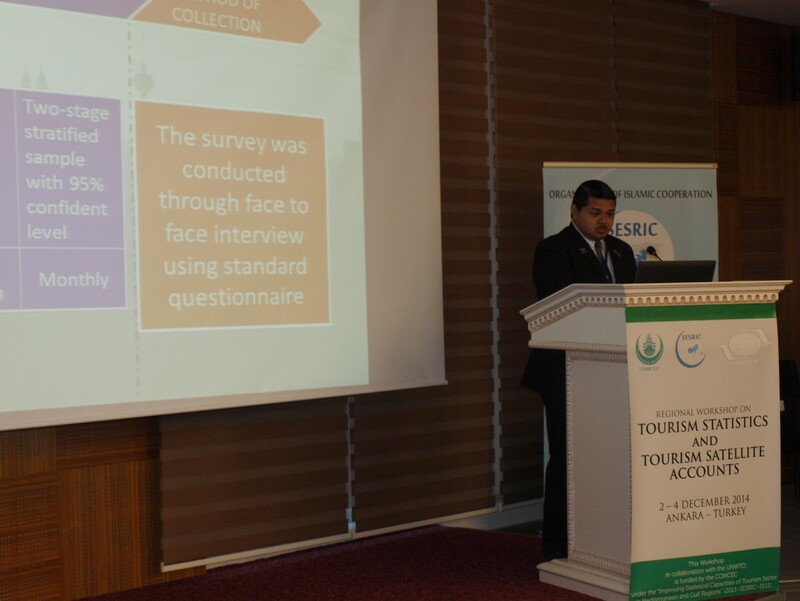 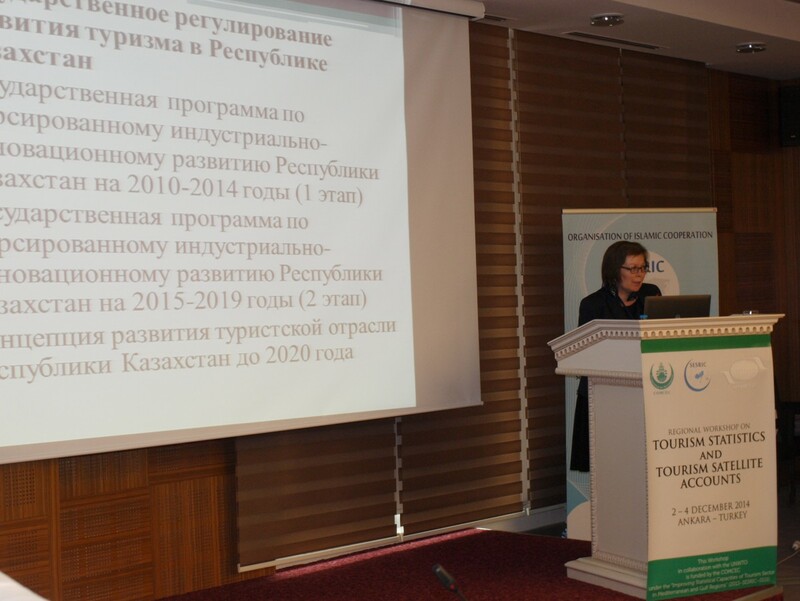 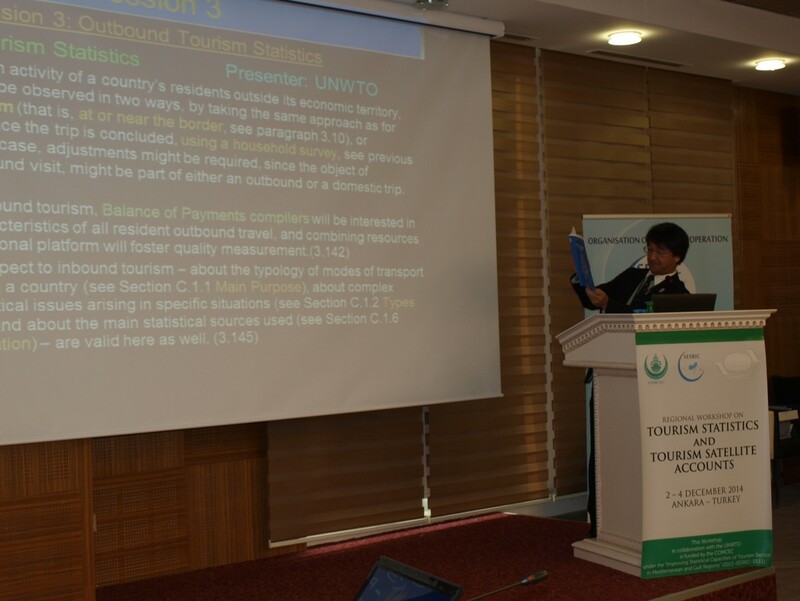 open discussions, mainly questions of participants and answers by presenting parties and UNWTO representatives. 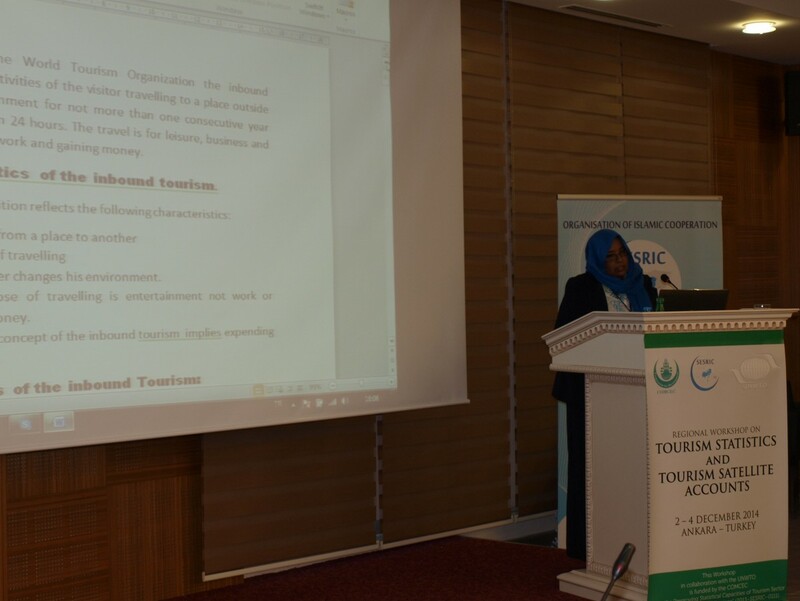 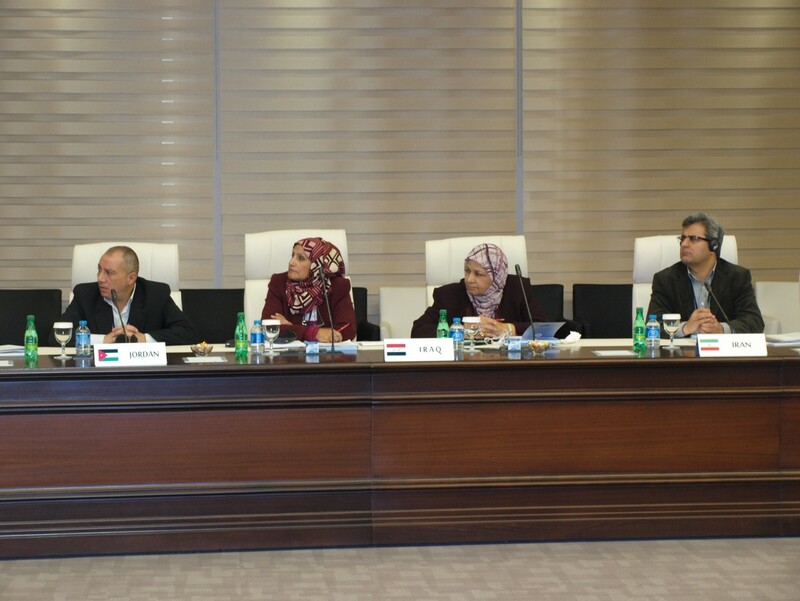 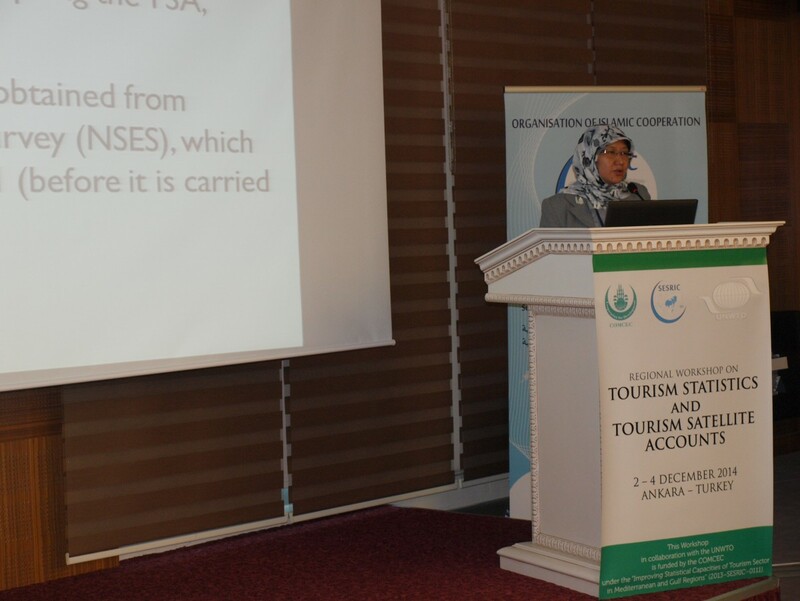 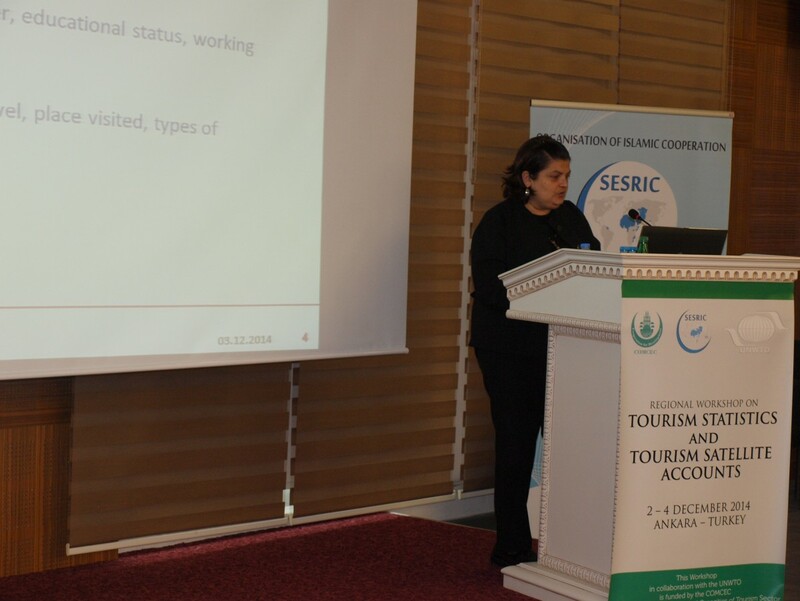 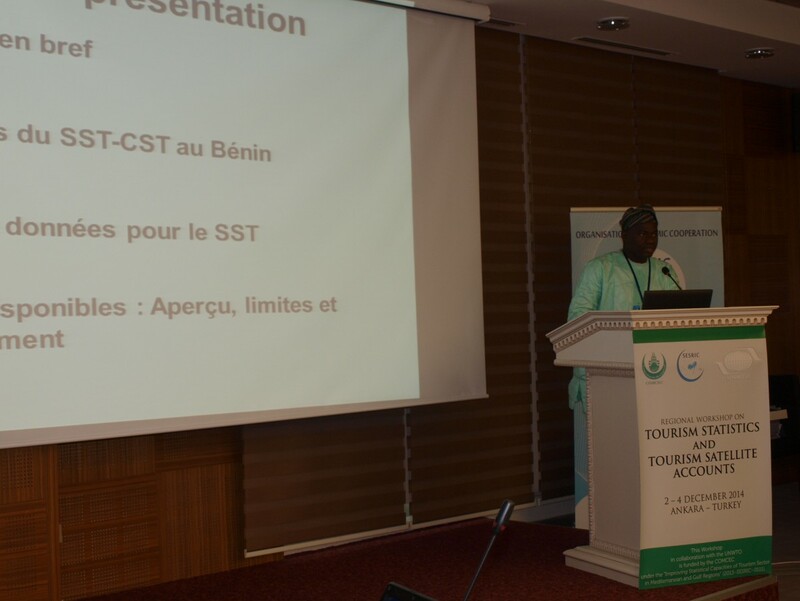 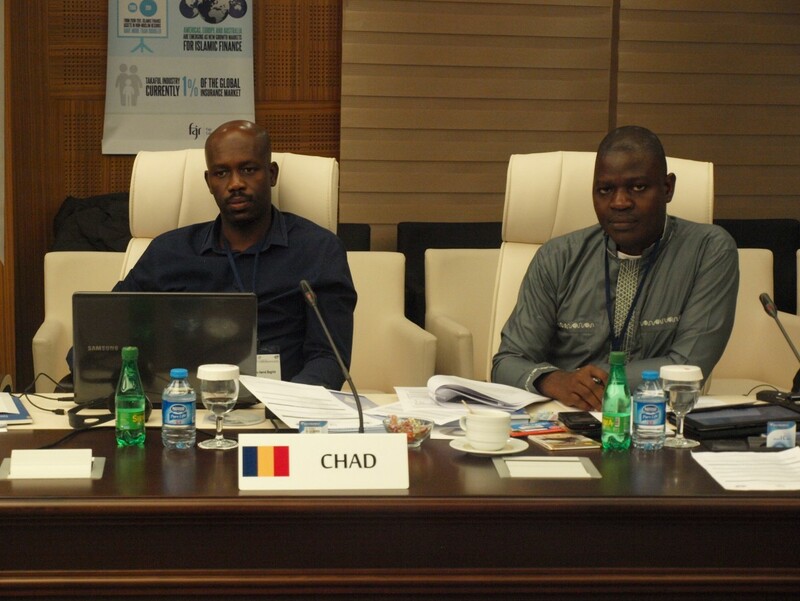 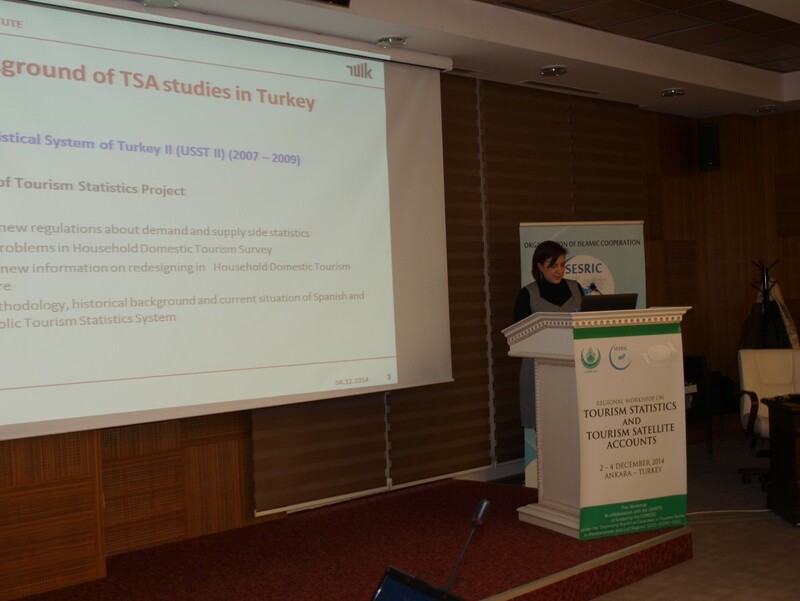 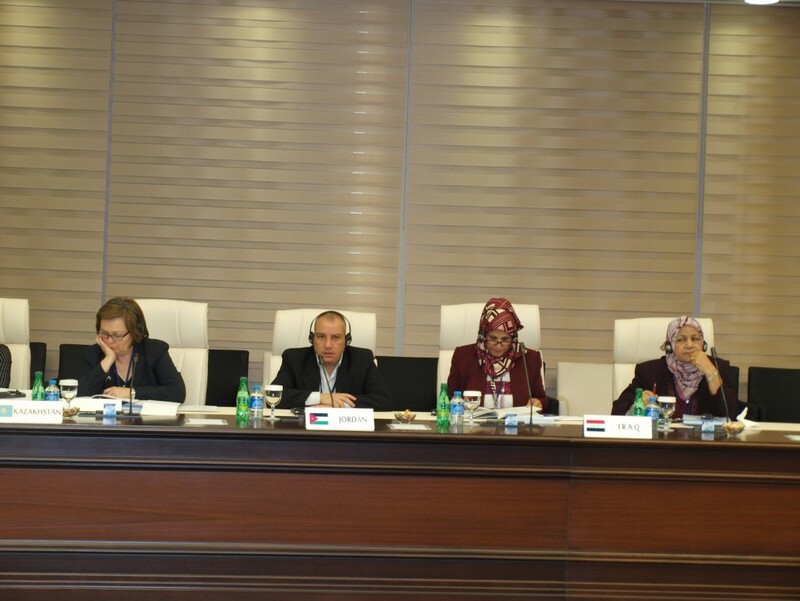 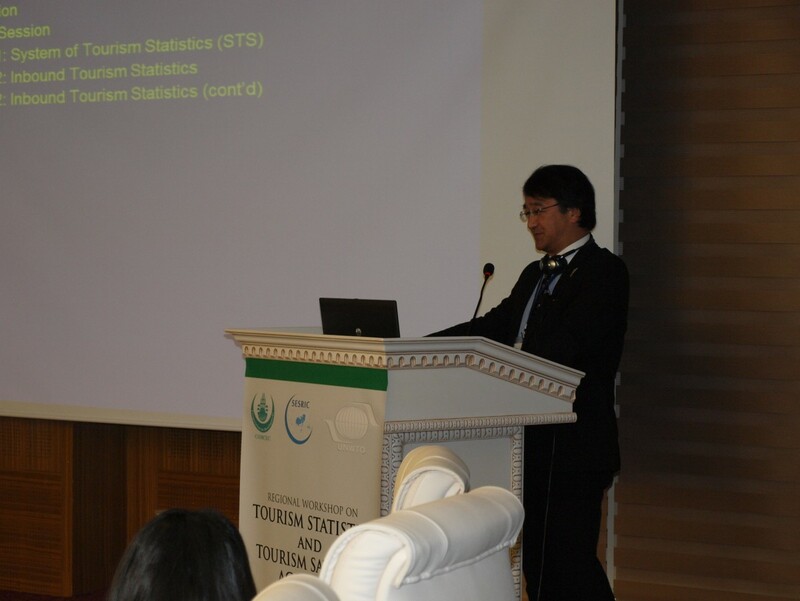 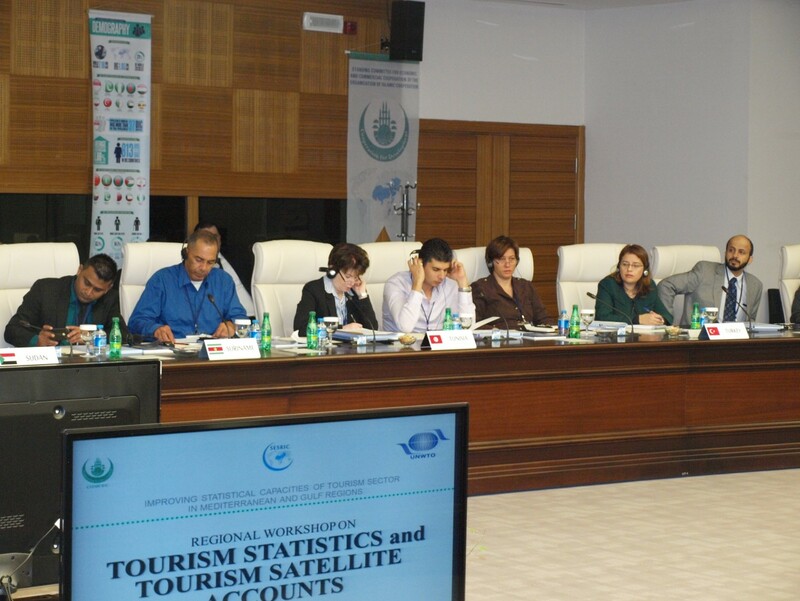 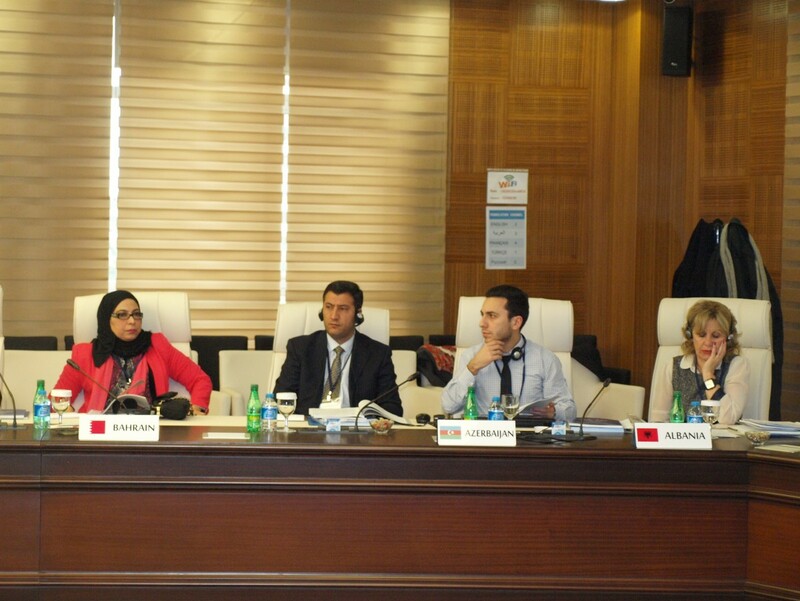 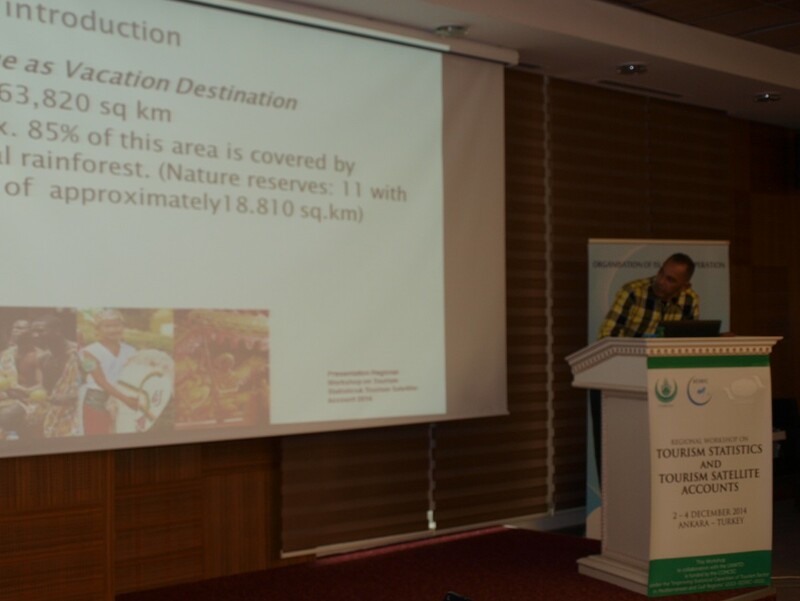 During the general discussions and deliberations, the participants articulated the need for the development of a comprehensive training program on methodological aspects related to tourism statistics and TSA methodology, especially for introductory and intermediate level of tourism statisticians. 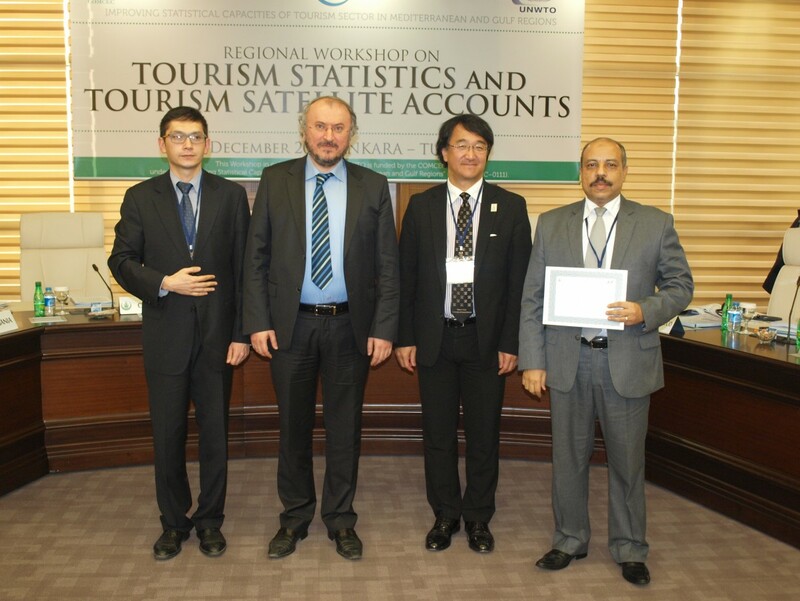 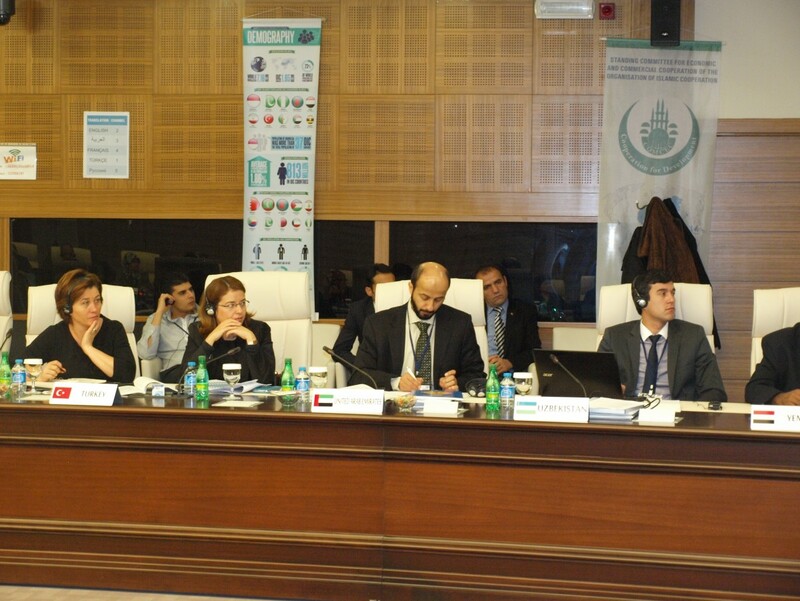 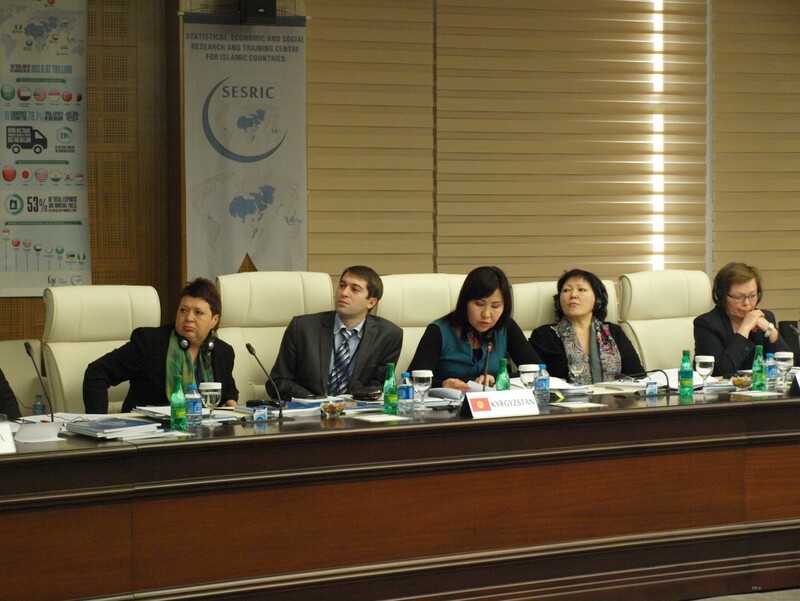 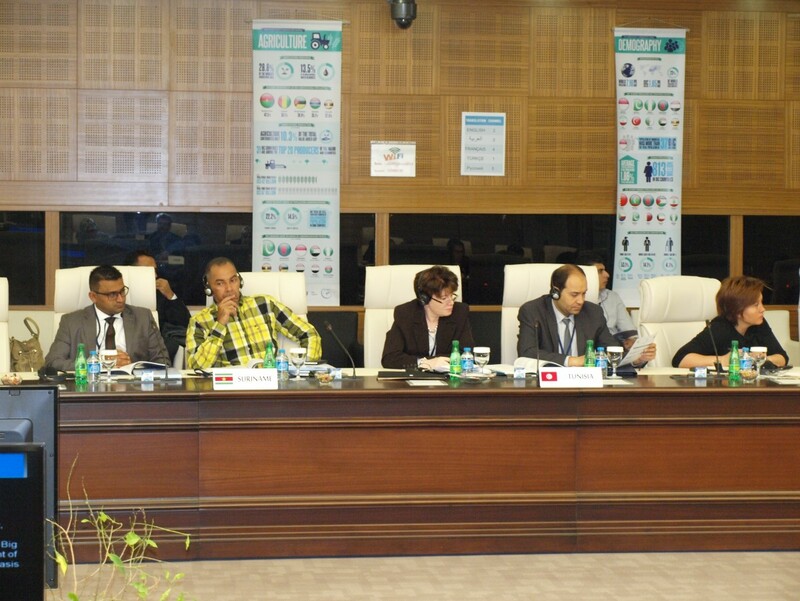 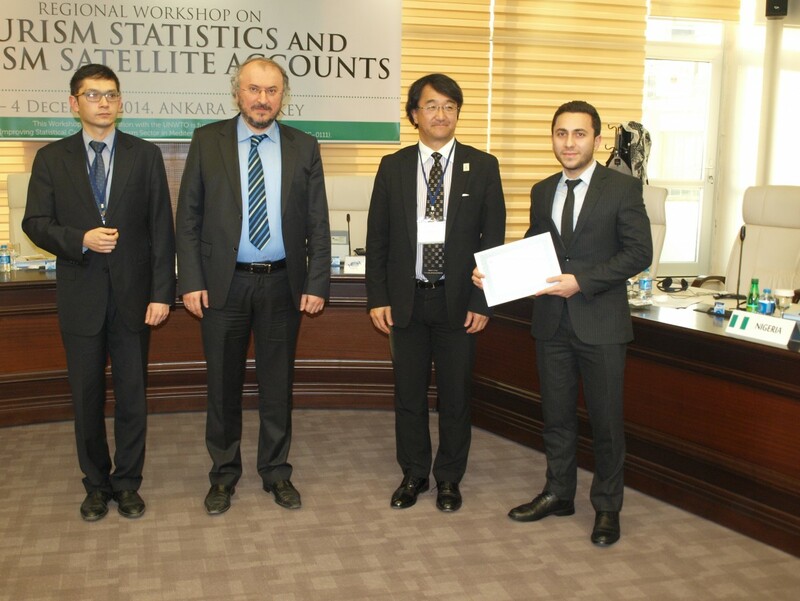 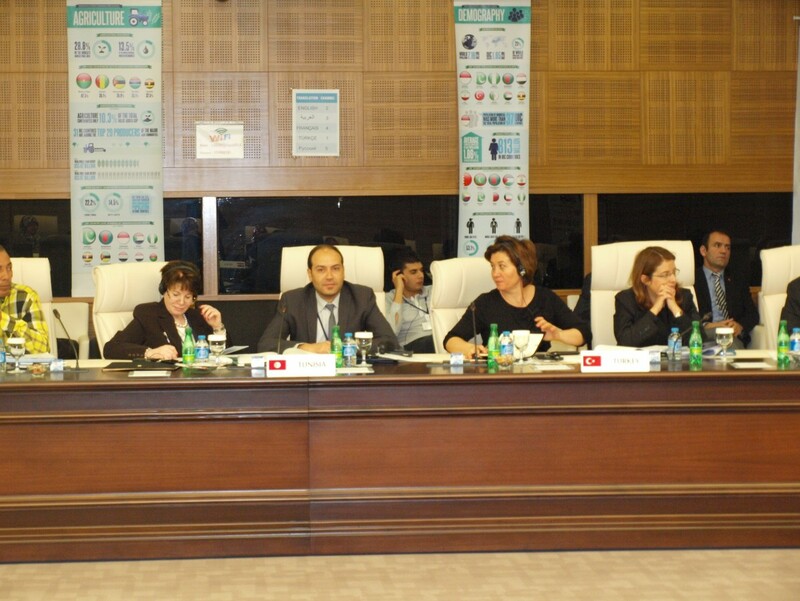 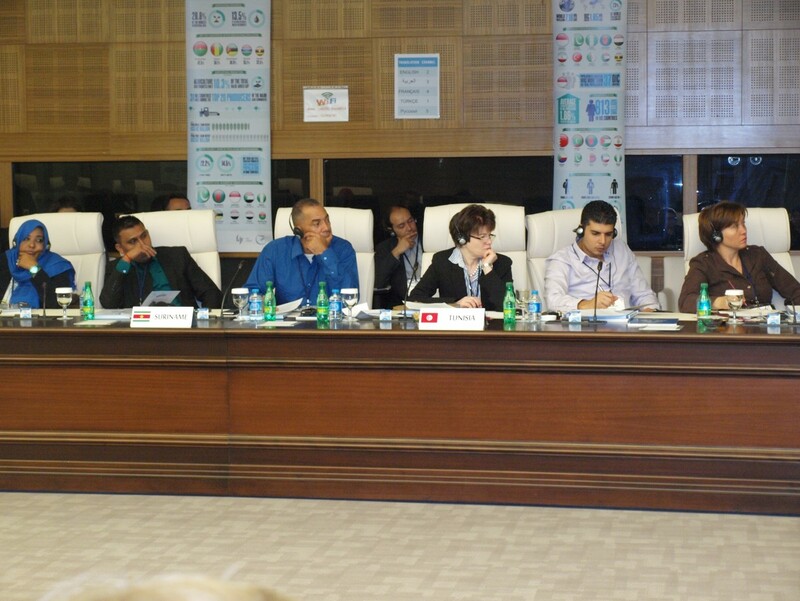 In the closing session, the Certificates of Participation have been awarded to the Workshop participants.